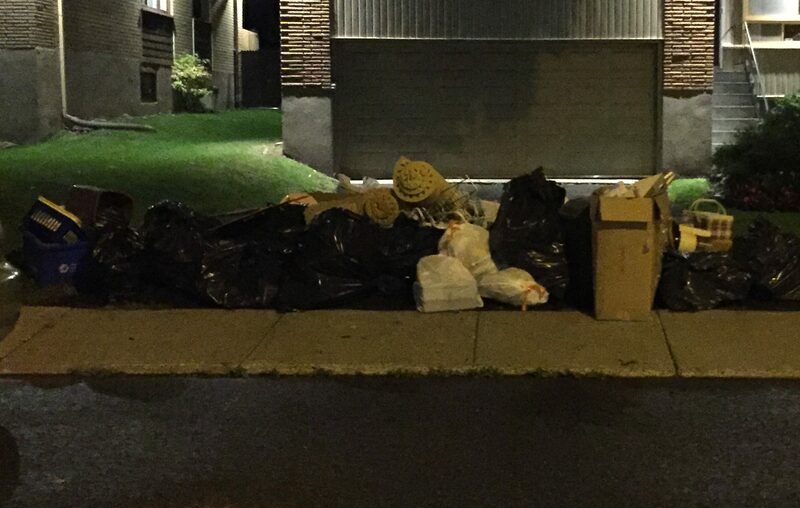 Let’s go back a couple of months to this pile I happened upon in Cote-des-Neiges. 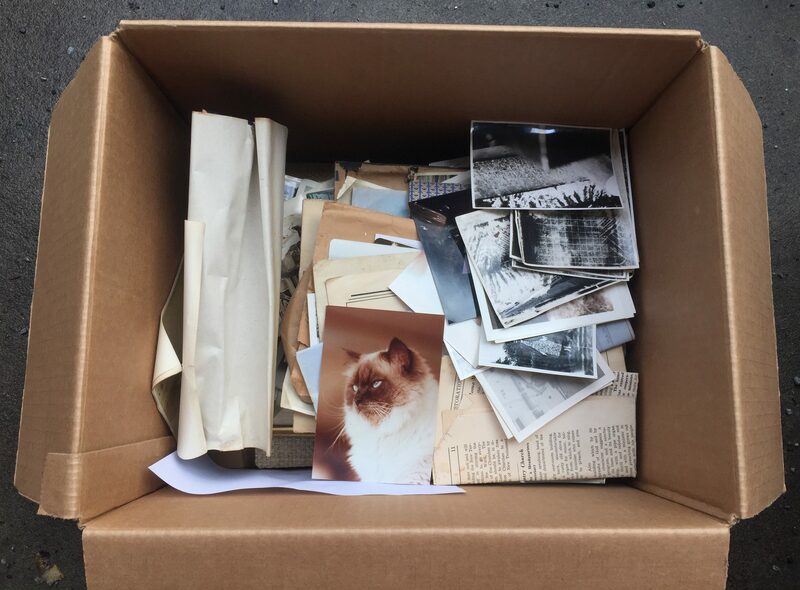 I met a woman involved in the tossing and she told me they were clearing out an apartment that had been empty for years. A lot of the stuff in there was pretty old. 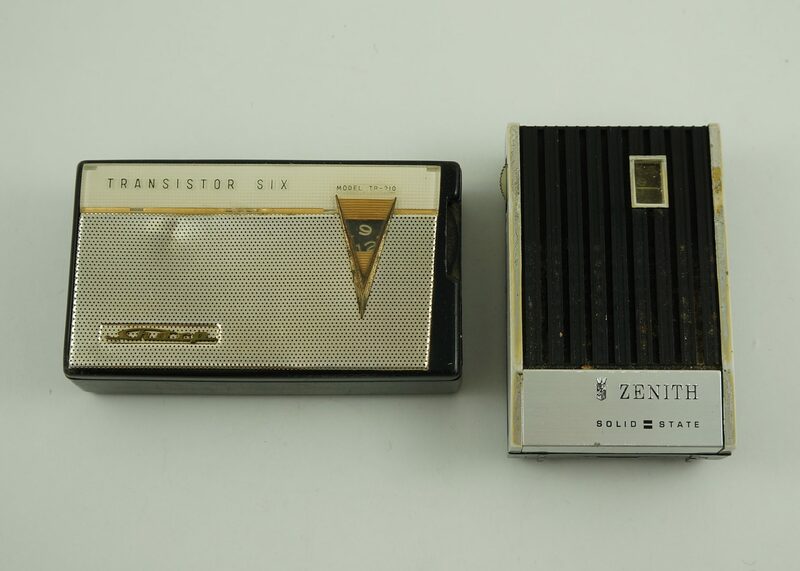 I found a few interesting radios, including these little transistors. The Sharp sold for 13$ at eBay auction, which was a bit disappointing as I know I could have gotten more using a set price. 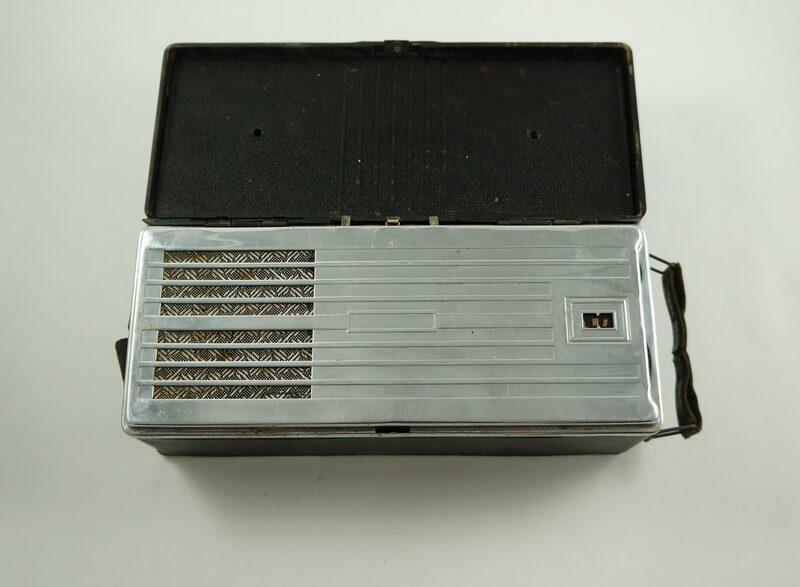 The market for some transistor radios is pretty good overall, but I guess there’s a lot of models to choose from, thus making an auction for any individual radio a bit risky (unless it’s one of the most collectible models of course). 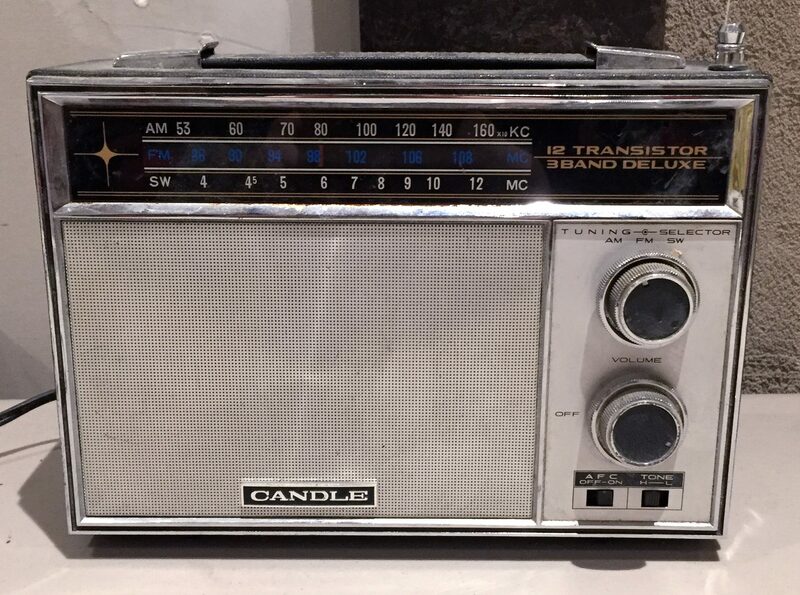 I added the Zenith to a portable radio lot that did well at the local auction house. This old Candle 12 Transistor is pretty neat. It works, though the controls are very quirky. I’ll likely bring it to the local auction once their vacations are over. 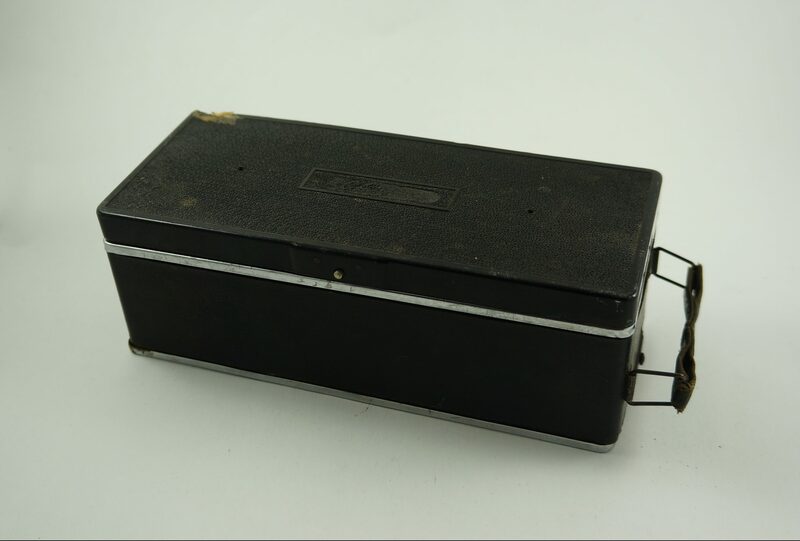 This portable tube radio is definitely the oldest of the bunch – it probably dates to the early 1930s (“Patented 1916-1932 inclusive”). 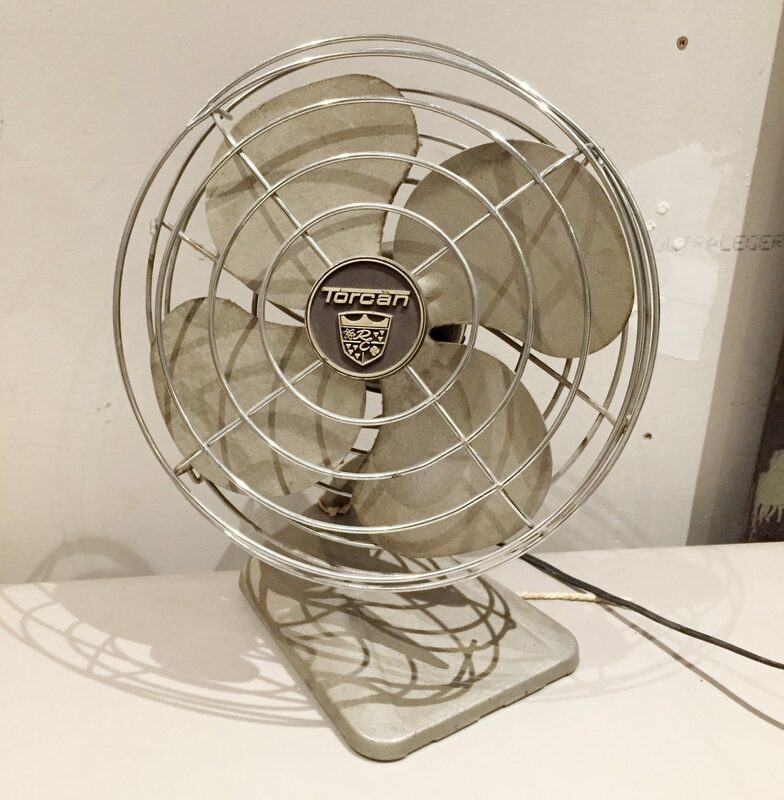 It was made by General Electric, but the exact model number was erased by the rust. It was probably high tech for its time! A few of these pictures aren’t great, but at some point I figured crappy photos were better than none at all. I still have to replace the photography umbrella bulbs that were stolen during that crazy yard sale, and it’s harder to take photos outside in the winter. 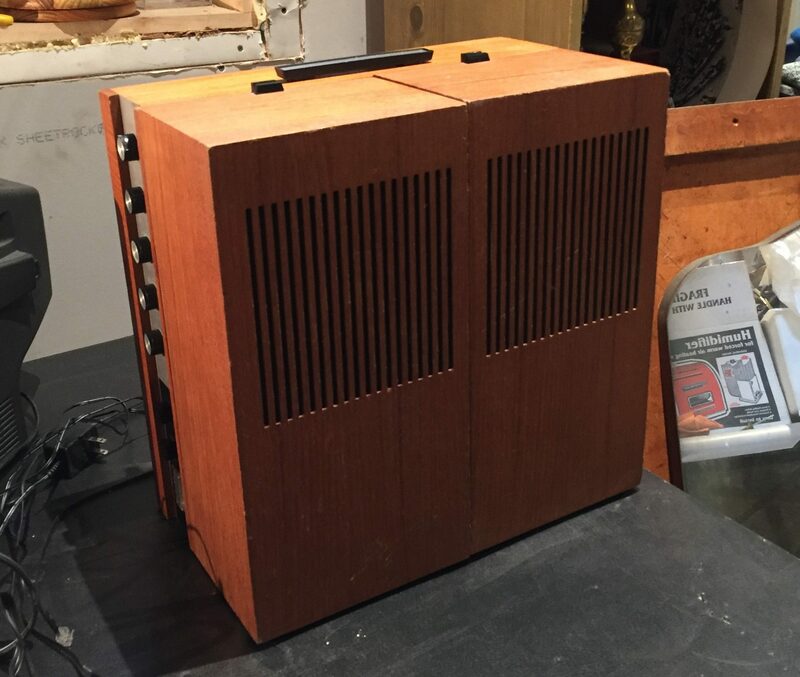 Anyways, this is a beautiful mid-century portable record player made by Philips. 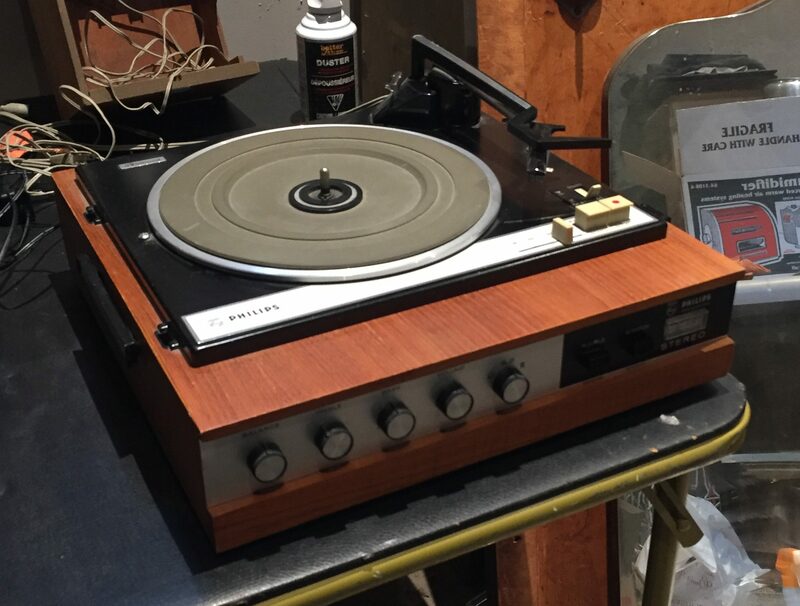 It didn’t work at all, but still sold for 44$ at the local auction. It’s very much in style at the moment. 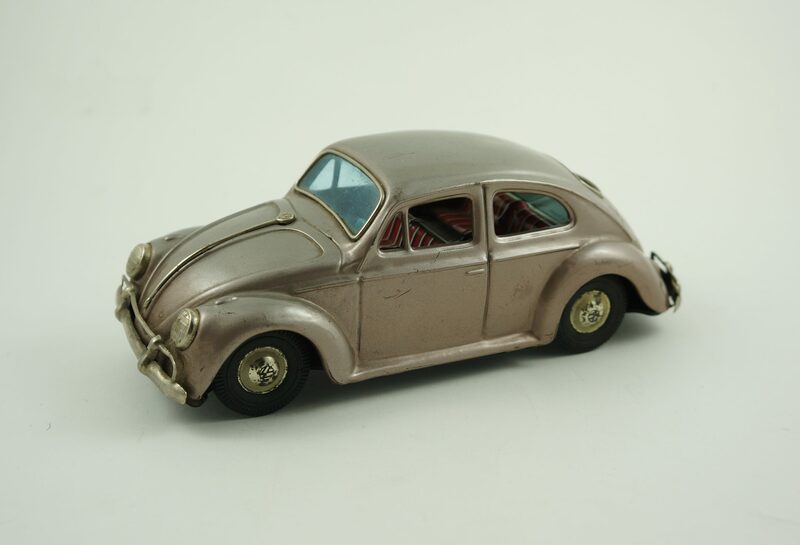 The eBay auction result for this VW beetle was also disappointing, perhaps for the same reason as the transistor radio. It didn’t help though that I misspelt “Volkswagen” and forgot to add the VW keyword. Oh well! I guess another good thing about Buy It Now listings is that they give you more time to fix your mistakes – eBay doesn’t let you change much once an auction starts, and they don’t like you cancelling auctions that have bids on them. 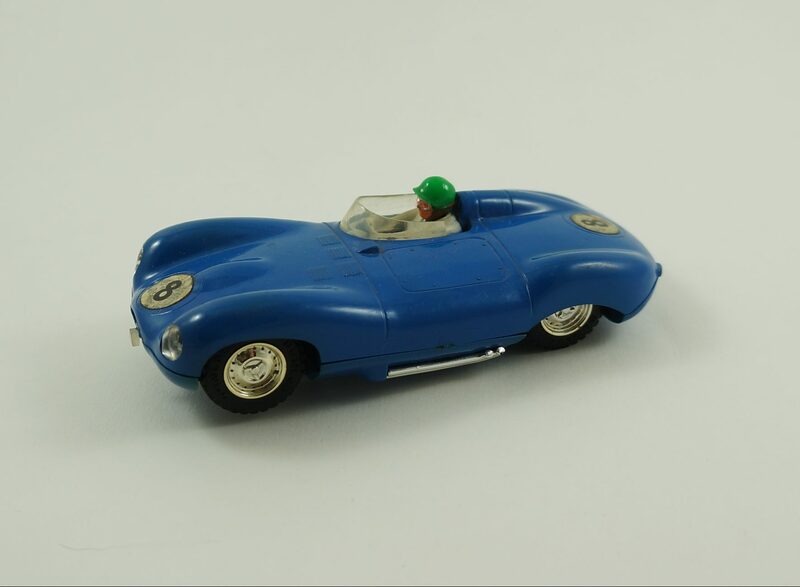 This Tri-Ang electric Jaguar seems to be worth around 30$, though I’ll probably use it to sweeten to future toy car lot at the local auction house. 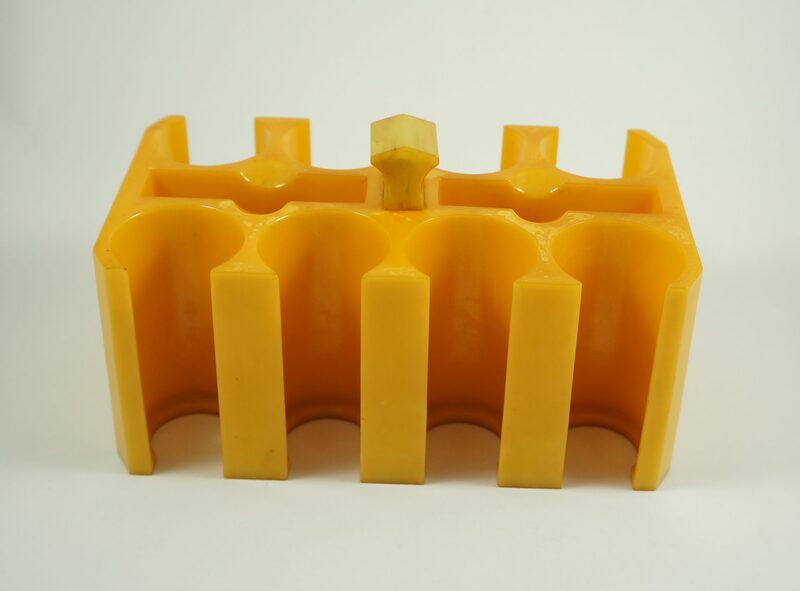 This awesome poker chip caddy was made from solid Bakelite, which was the first plastic made from synthetic compounds. It was very popular from the 1920s to early 1940s, and is now pretty collectible due to its solid nature and excellent color. This piece sold pretty quickly on eBay for 120$ + shipping. 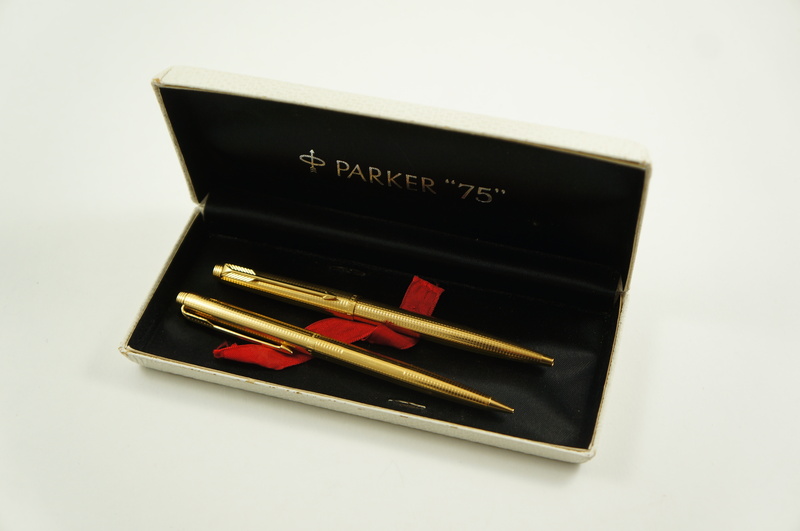 This Parker 75 “ciselé” ballpoint pen & mechanical pencil set was also pretty collectible. The pair sold pretty quickly for 150$ + shipping. 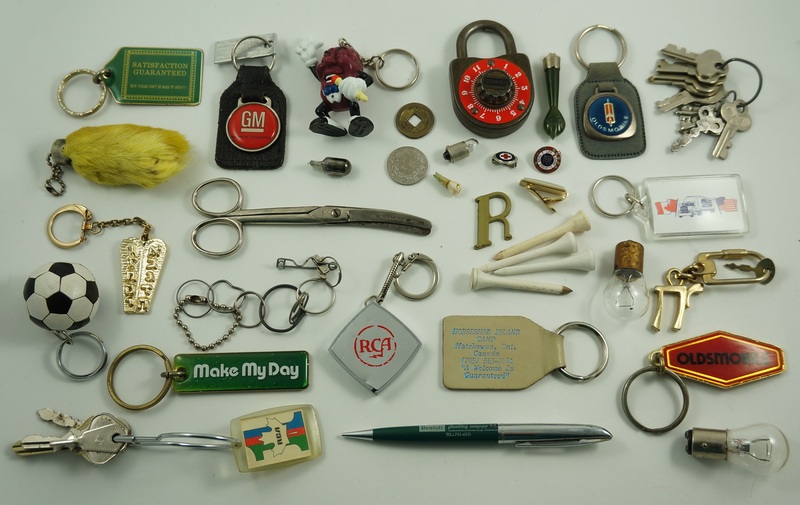 … and some miscellaneous junk. The clock goes with the marble pen holder, it just needs to be glued back on. I’ve never found smelling salts before, and wouldn’t have expected them to have been made by a traditional perfumer like Yardley. 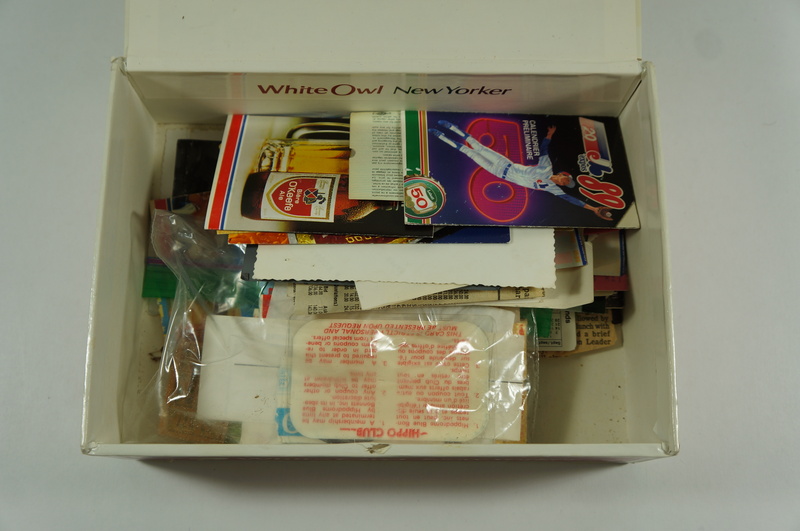 This spot was most notable for providing neat old junk boxes, most of which once held cigars. 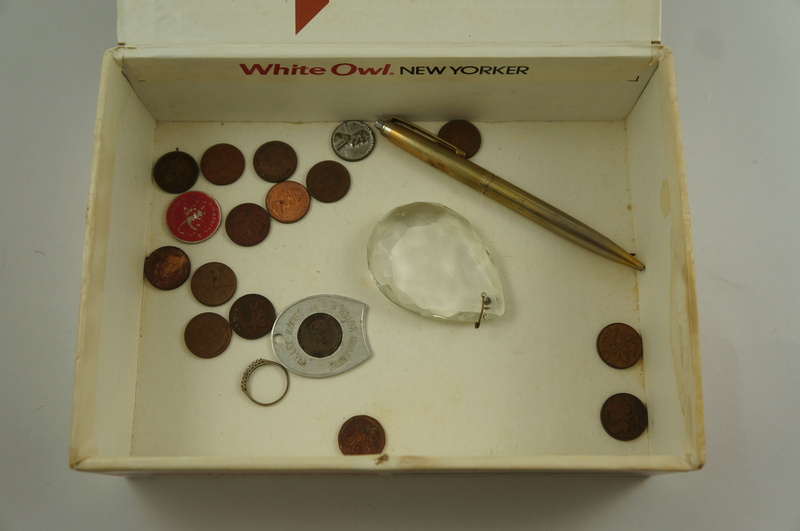 One held some less interesting papers, as well as several pennies and a well worn 18k gold ring. 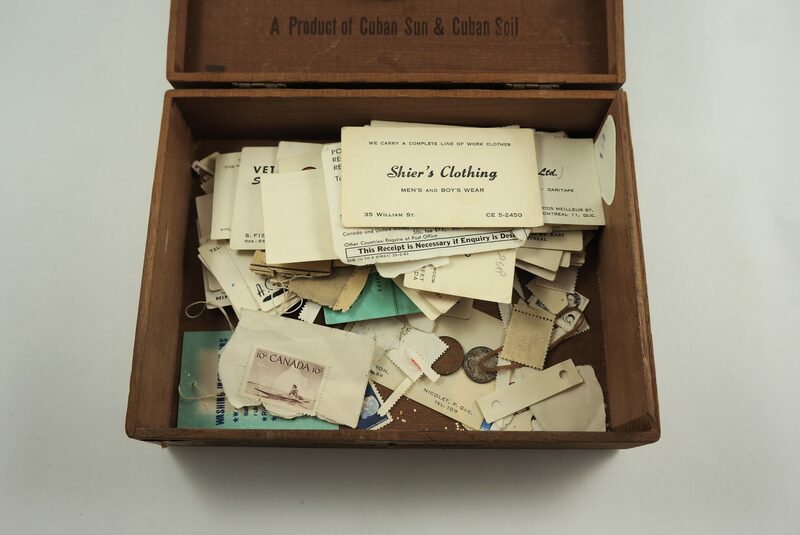 Another held old business cards, some old stamps, and a silver dime. 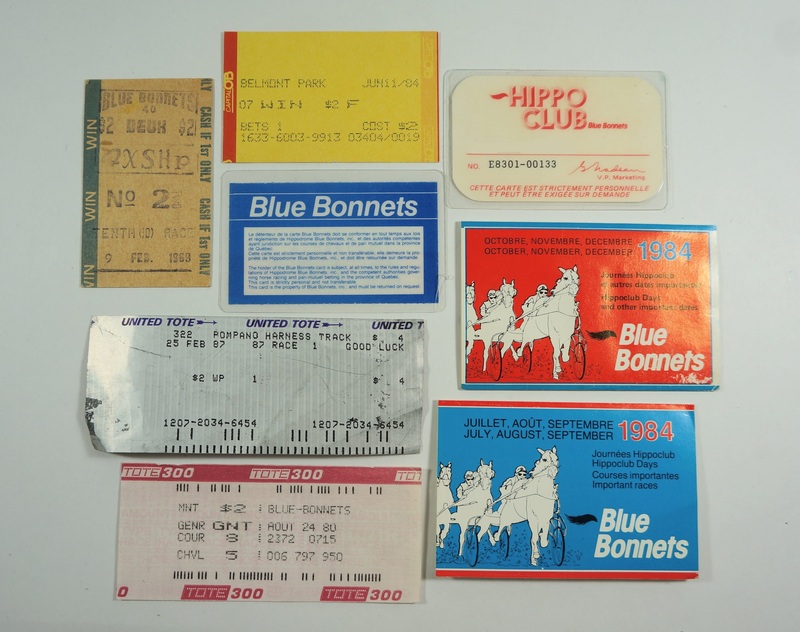 I’ve found a lot of vintage business cards recently, many of which were made for establishments that once did business not far from my home. I’m thinking it might be fun to walk around and match the business with the building, taking a picture of both and sharing them on Instagram. Could be a good excuse to get out of the house at least! What do you think? 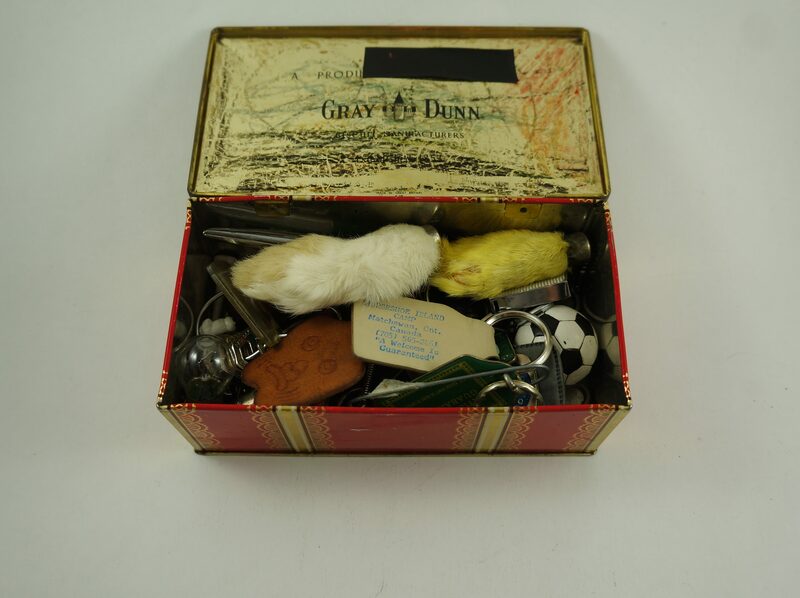 This box held the most valuable item of the bunch. Inside was a collection of interesting paper ephemera, including this dollar bill and a bunch of old bus tickets. 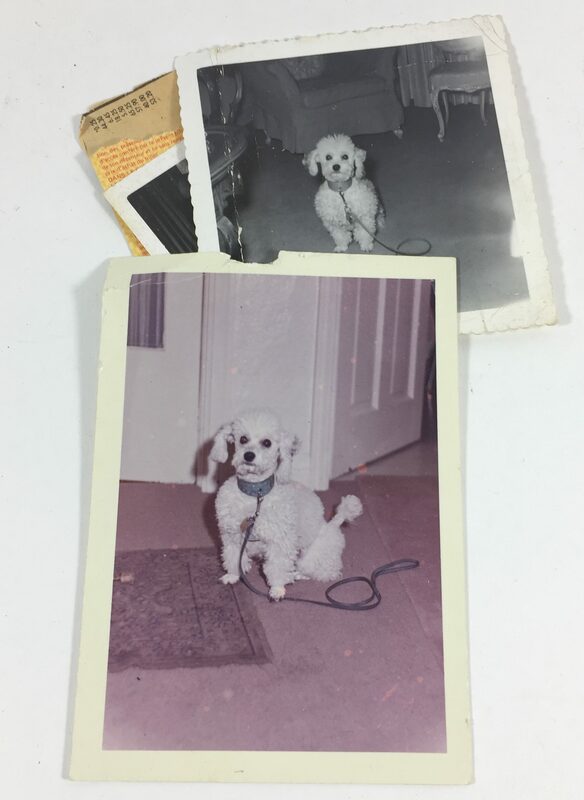 There were a few old photos inside, most of which featured this dog. 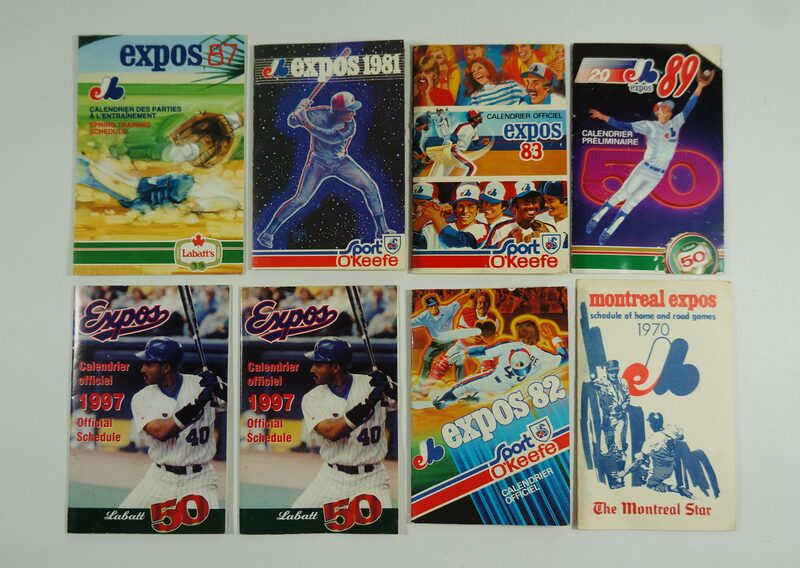 … and a collection of Expos schedules. 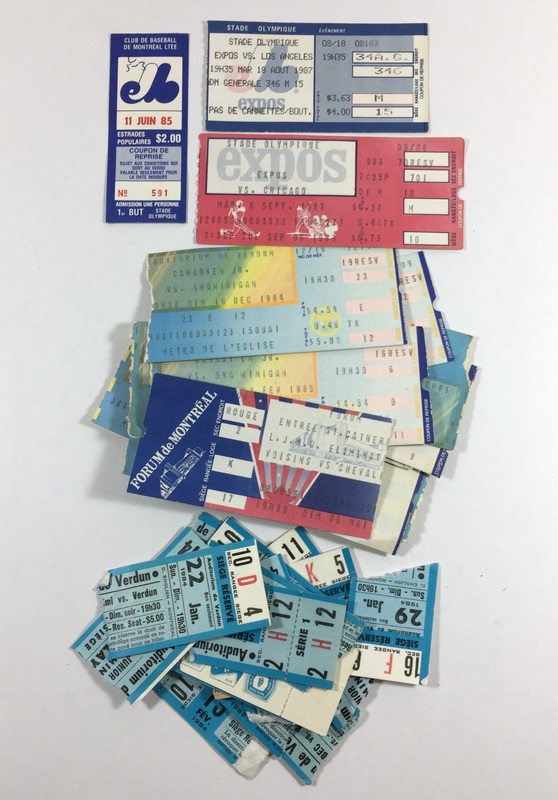 Most of these weren’t worth much, with the exception being the 1970 Expos schedule at bottom right. It was made for the 1970 season, the 2nd of the Expos, and appears to be fairly uncommon. I listed it at 95$ and it sold very quickly – perhaps I could have gotten more for it, but oh well. This spot didn’t produce for very long, but my finds here still netted me at least 500$. Not bad! 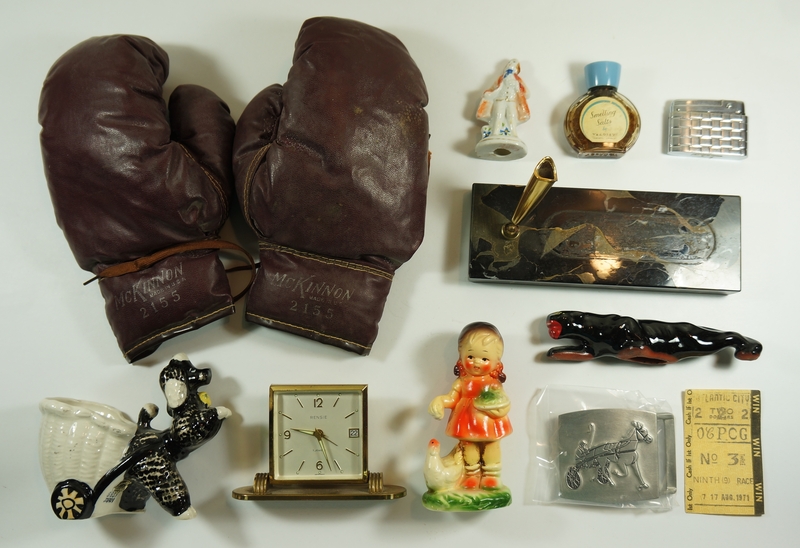 However, in my next post I’ll share some junk from an even more profitable pile. Some of my favourite finds are the ones I happen upon by pure chance. My car was in the shop for maintenance on Wednesday and Thursday so I wasn’t able to pick as I normally would have. The work was supposed to be done by about noon on Thursday so I decided to walk up to the garage around then to pick it up. (I ended up having to wait around for three hours or so, but that’s another story). 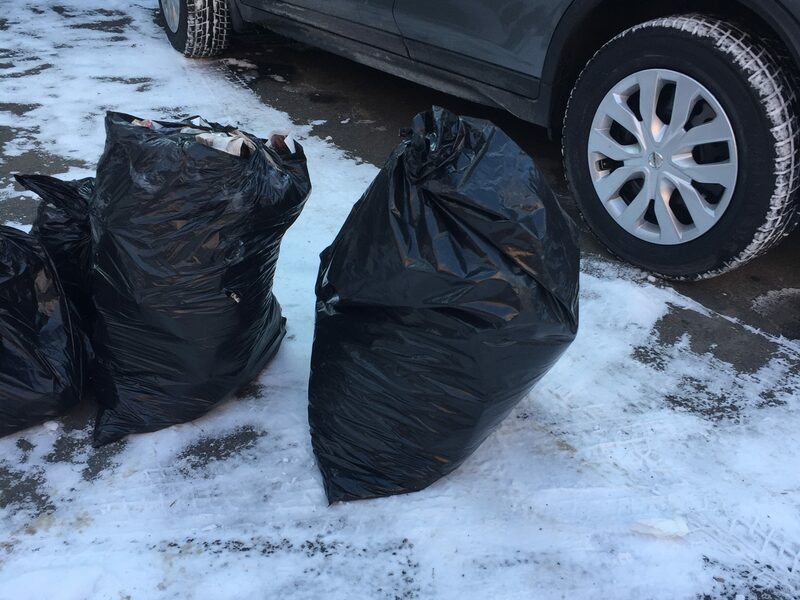 Of course, the various garbage days are always on my mind, and I decided to take a route that would provide a bit of trash along the way. I didn’t expect much but it wasn’t long before I happened upon this pile. The bag on the right had the feel of paper when I gave it a little kick and I decided to take a peek inside. Usually papers aren’t too exciting, but sometimes they are. True to form, most of the papers weren’t very exciting. Old files and such. 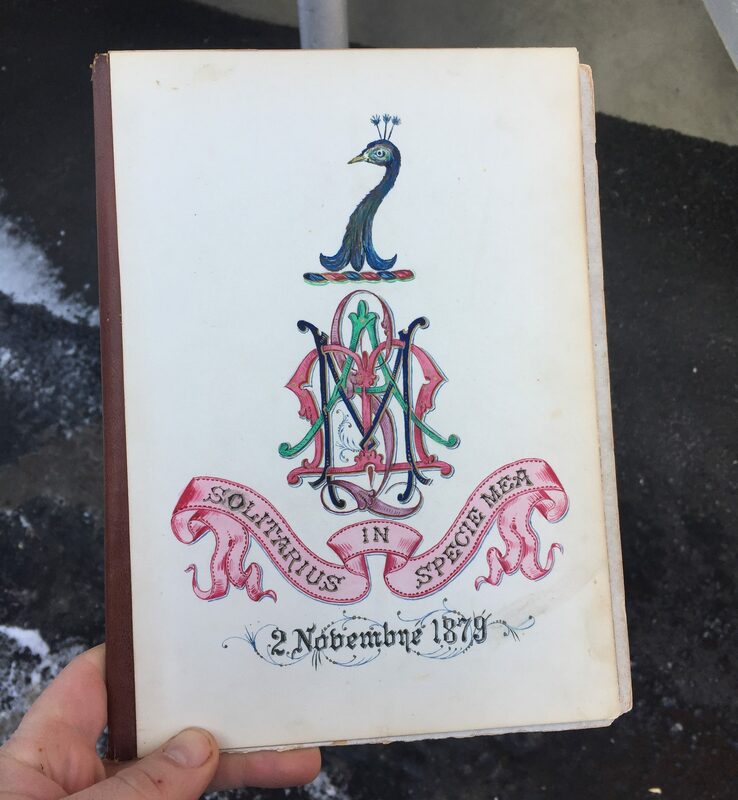 However, I spotted this busted antique album after digging around a bit. It probably once held the cards below, which I laid eyes on not long after. 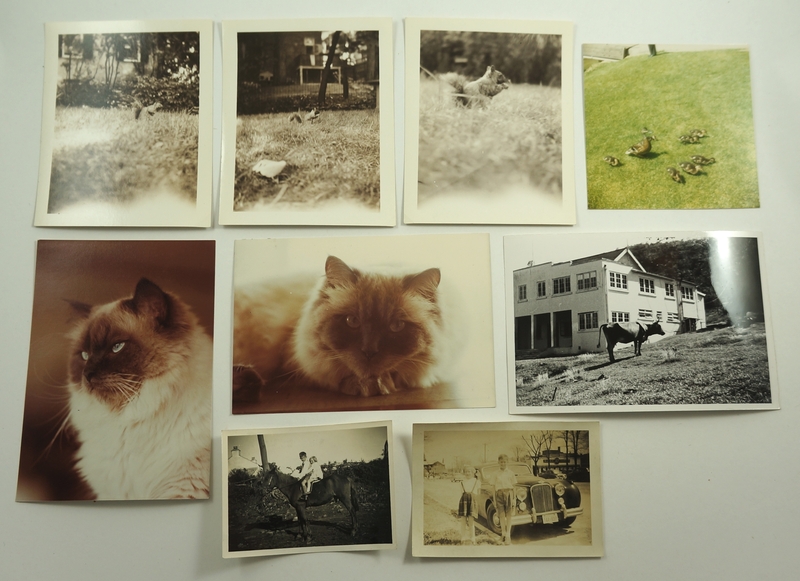 These little cards feature some of the oldest photographs I’ve ever found in the trash. 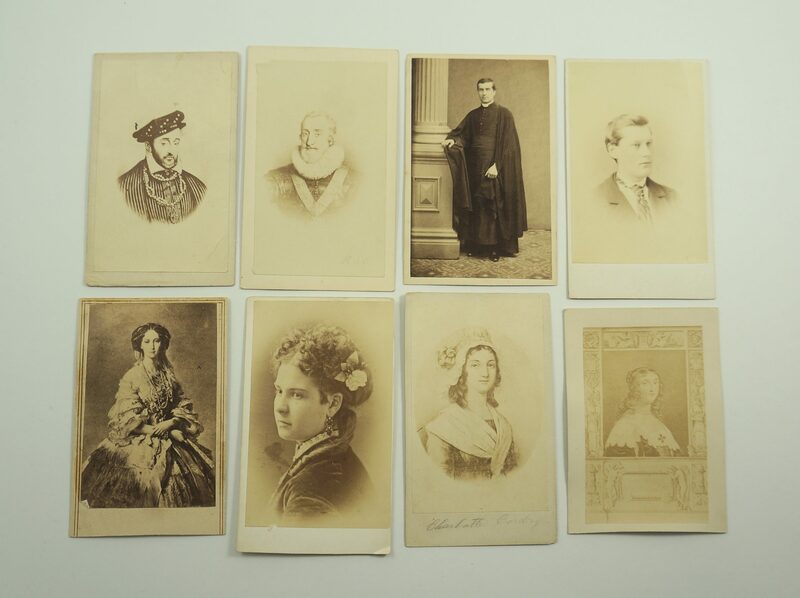 Most seem to be “cartes de visite” (or CdV), a type of photograph most popular between 1859 and the early 1870s. 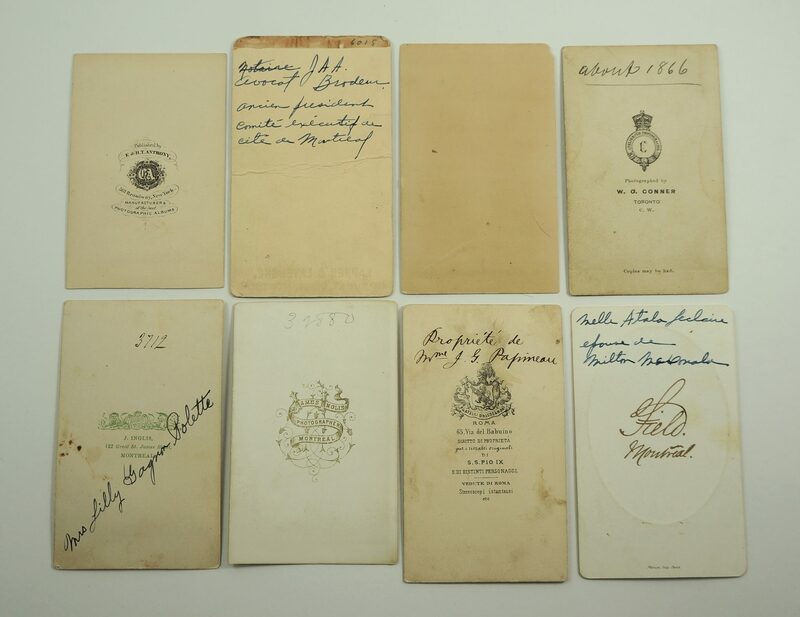 The larger cabinet card took over after that, though apparently CdVs were produced into the early 1900s. 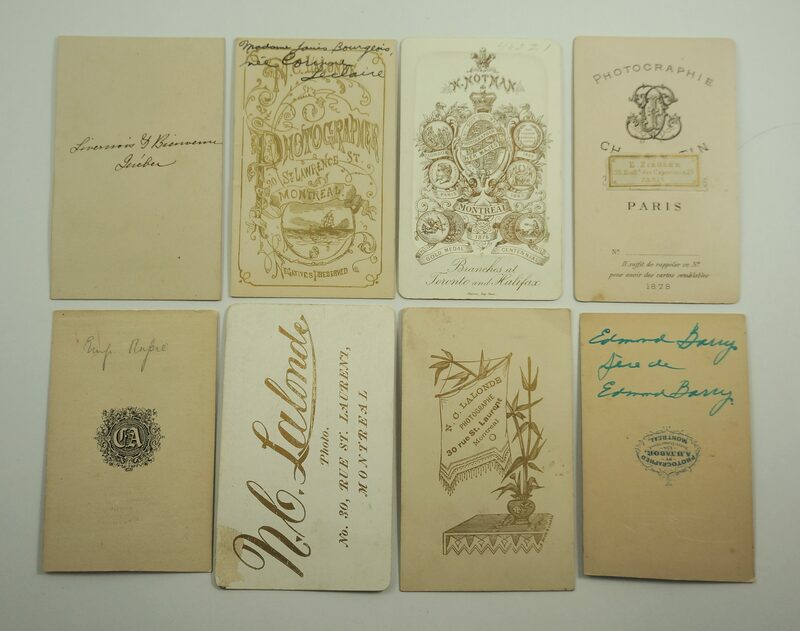 Lots of CdVs featured celebrities – they were one of the earliest forms of collectible cards. 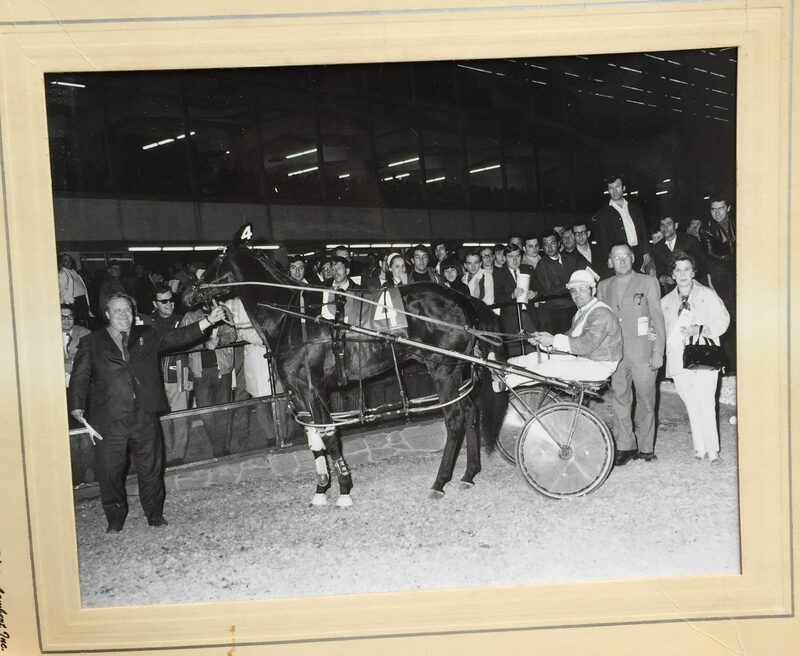 Sometimes the name is indicated on the card and other times not so please let me know if you recognize someone! 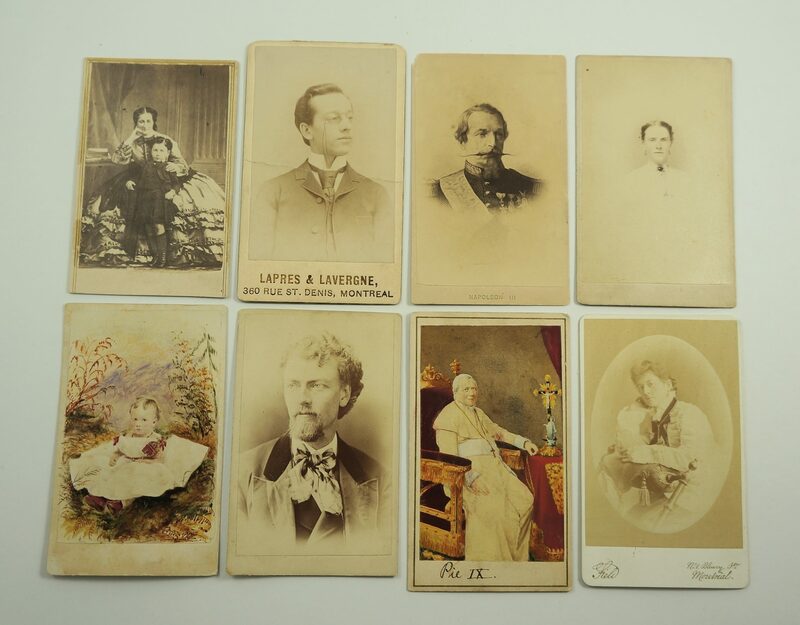 The backs of the cards sometimes contain interesting information so I’ve included pictures in every case. 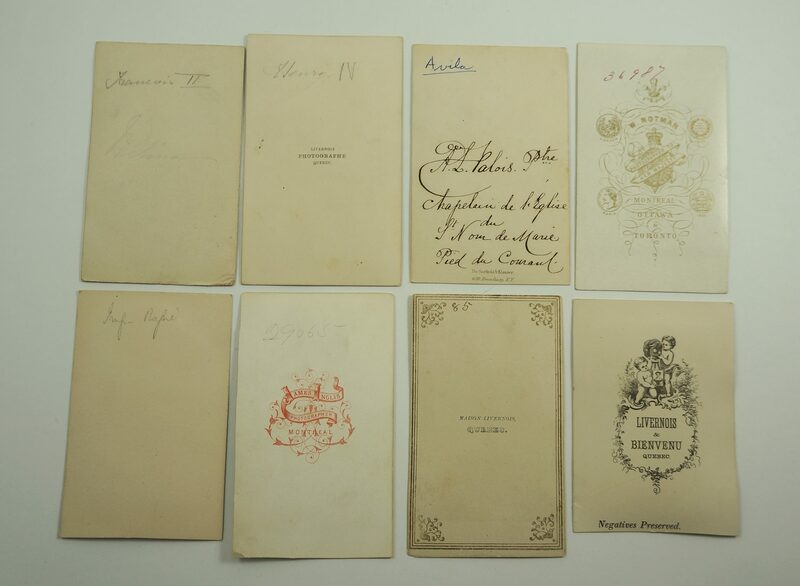 For instance, a previous owner noted that the card on top second from the left is an image of Henri IV, the king of France from 1589 to 1610. The writing on the one to the left of it looks to say “Francois II” but the picture doesn’t match the appearance of the former French king who died at age 16. To the right of a more local interest – on the back it’s written that the guy was a chaplain somewhere in Pied du Courant, the part of Old Montreal that sits next to the rapids and across from La Ronde. There used to be a prison there from 1835-1912, so perhaps he worked there? I don’t really understand some of the words written, so let us know if you have any insights! The dude on top, second from the left is J.A.A. Brodeur, one time president of the executive committee of the city of Montreal. There’s not much info about him online outside of the fact that he died of a heart attack while visiting New York City on business in 1927. To his right is an image of the impressively mustachioed Napoleon III. 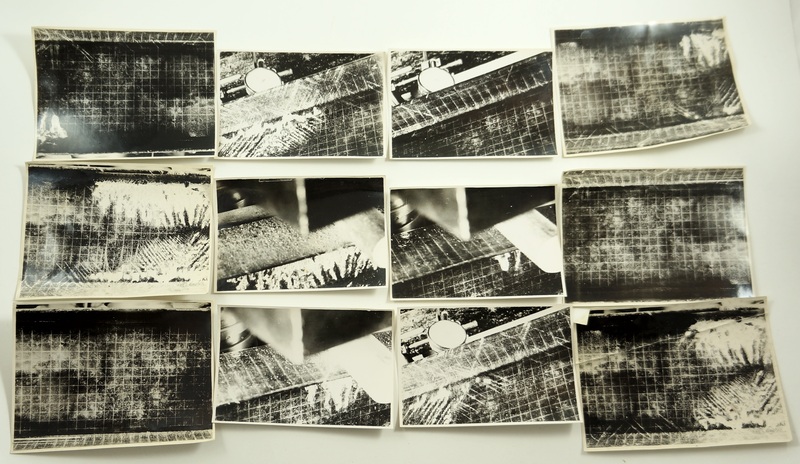 At top right is one of the few hand dated photos – being shot in “about 1866” might make it the oldest photograph I’ve ever found. Otherwise, we have a cute hand coloured picture of a baby named Lilly Gagnon Polette and an image of Pope Pius IX. Here we have Napoleon I, Empress Josephine, Mary Queen of Scots, and some locals. 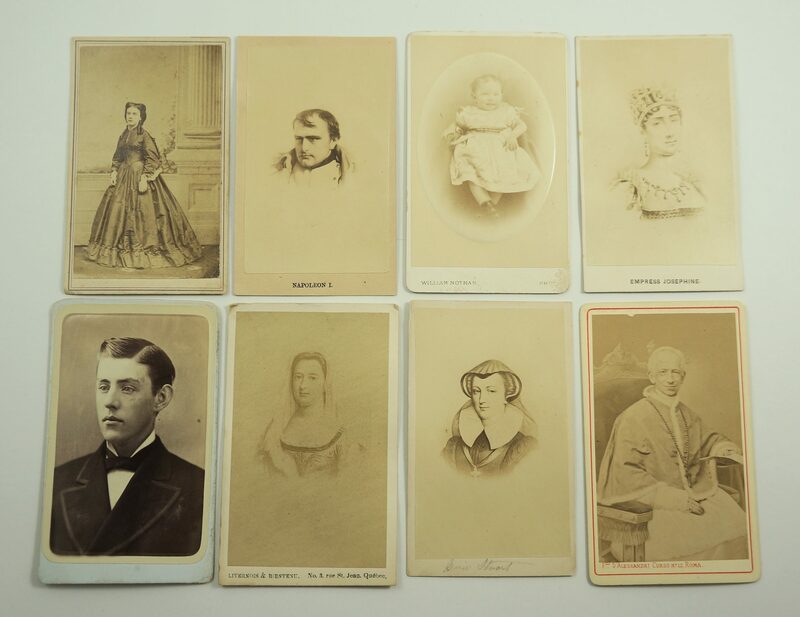 Several of these photographs were shot by William Notman, a noted Montreal-based photographer. 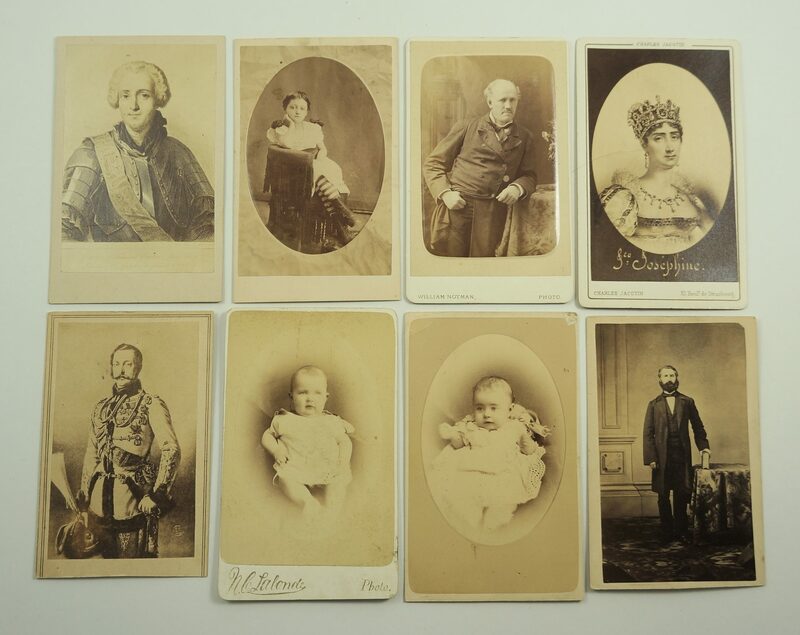 Given that there’s no mention of “& Son” the Notman baby photograph must date from before 1882. 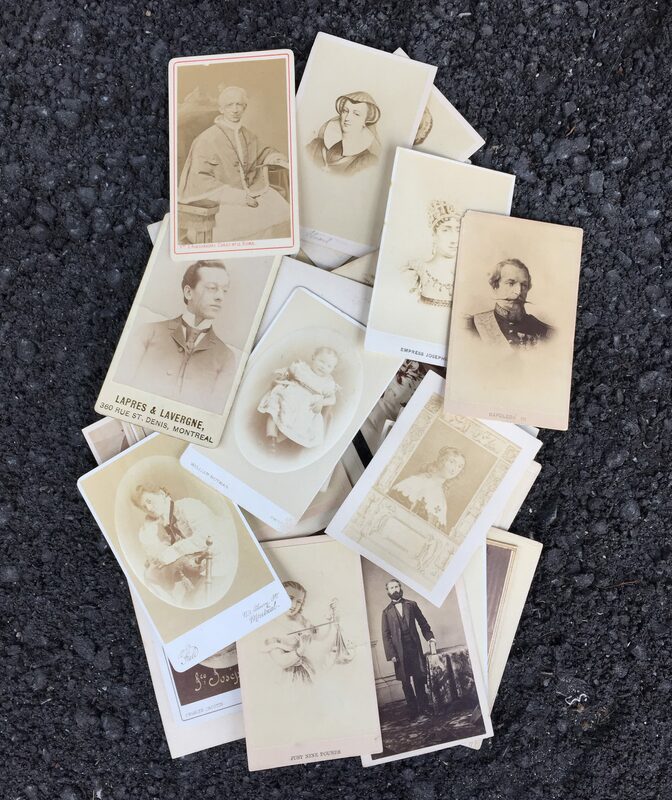 Here we have Josephine again, François Gaston de Lévis, another famous guy I should probably recognize (bottom left), and more locals. 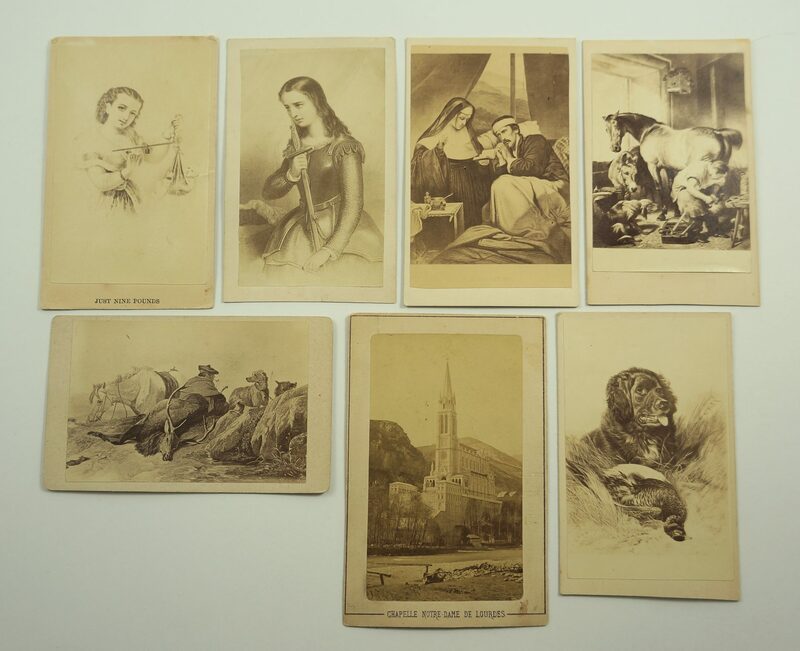 Let’s finish with some drawings (I don’t recognize any of them, but perhaps they are famous) and a nice photograph of the Notre Dame de Lourdes chapel in France that apparently dates to 1872. … and a cool drawing (perhaps once a cover to something?) dated November 2nd, 1879. I’m not sure what any of the symbols or Latin means, so if you have any insights please share them in the comments! This neat group photo turned out okay. 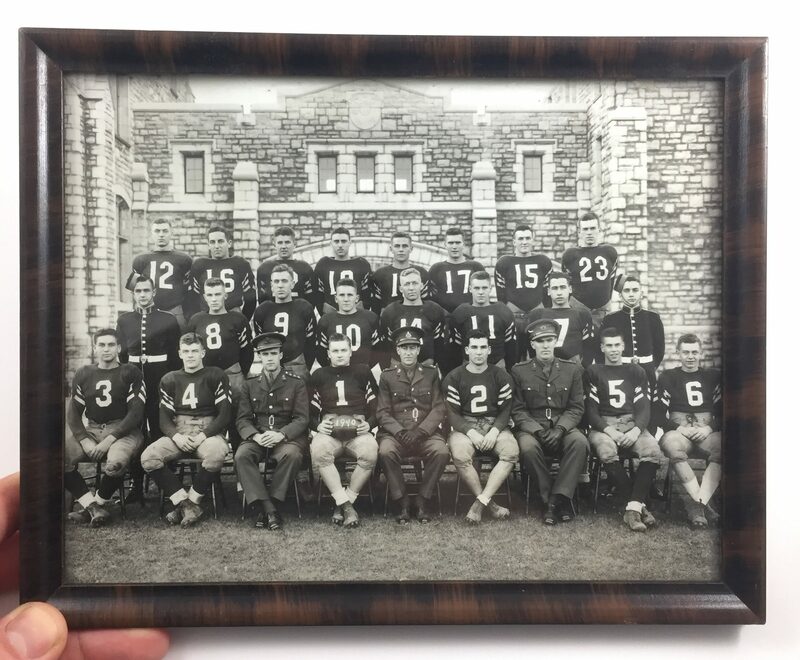 It looks to feature a 1940 military college football team (you can see the year on the ball, which is held by player #1). 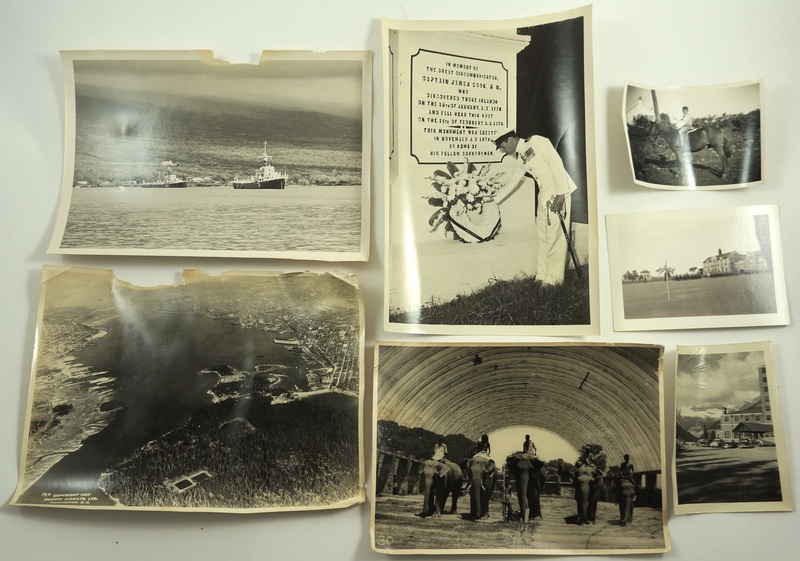 There were some neat photos in this collection. The 1927 aerial shot of Vancouver is cool, unfortunately it’s a bit damaged. Otherwise, we have a couple boats, someone honouring James Cook at his monument in Hawaii, a military parade of some kind, a shot of Lake Louise, and one with a bunch of elephants. I’d really like to know what’s going on in that one – the structure in particular is unusual, and you can see someone sitting on top of it as well. Zoom in for a closer look! Someone enjoyed animal photography! Here we have a ducks, a series of squirrel pictures, a Siamese cat, a cow, and a couple of kids on a pony. 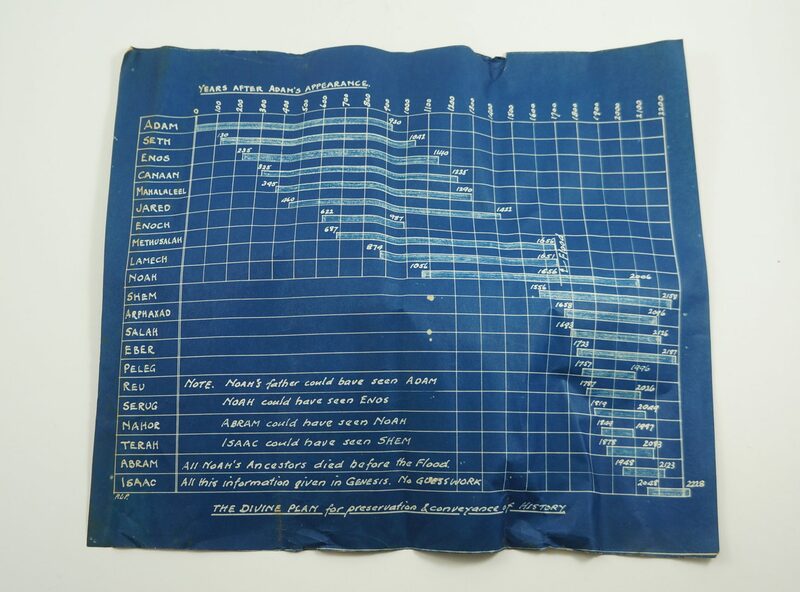 This timeline of biblical figures is printed on what looks to be blueprint paper. I’ve never seen anything quite like it. I have no idea what’s going on in these photos. 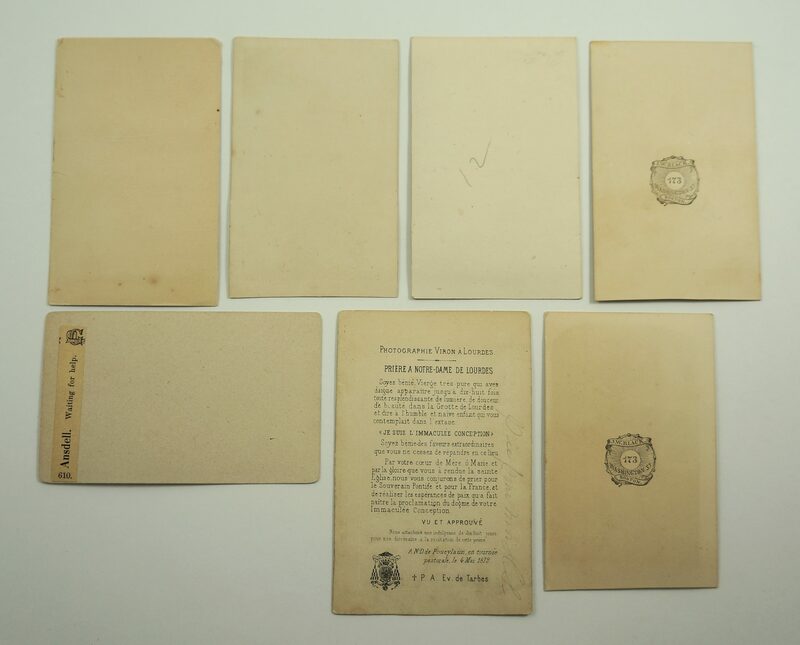 On the back of each is written in pencil a certain number of tons (ie: “9.75 tons”) but nothing else that would help solve the mystery. 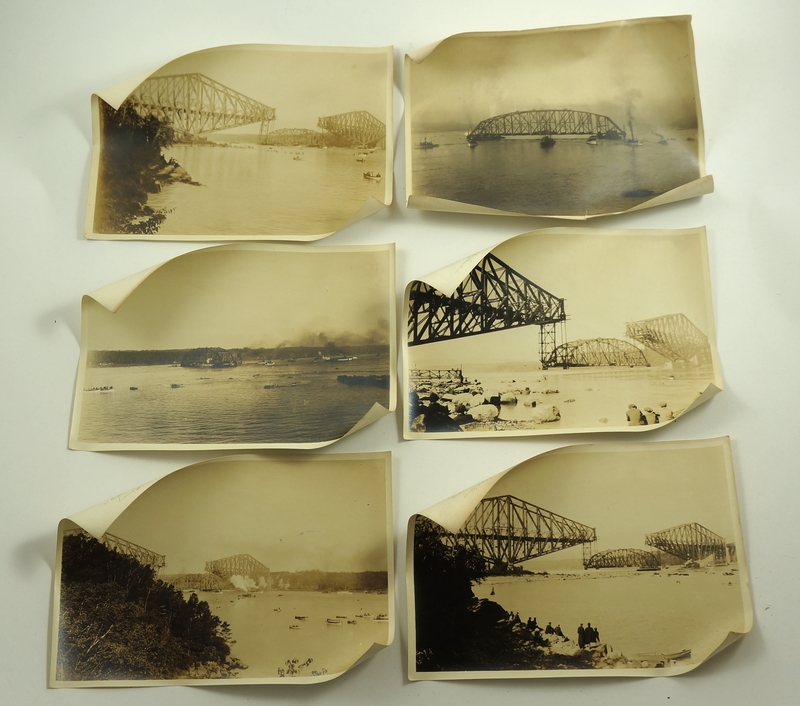 My favourite photos from this batch are probably these very old bridge raising shots. It doesn’t say on the back which bridge it is, but the design looks a lot like that of the Pont de Quebec near Quebec City. 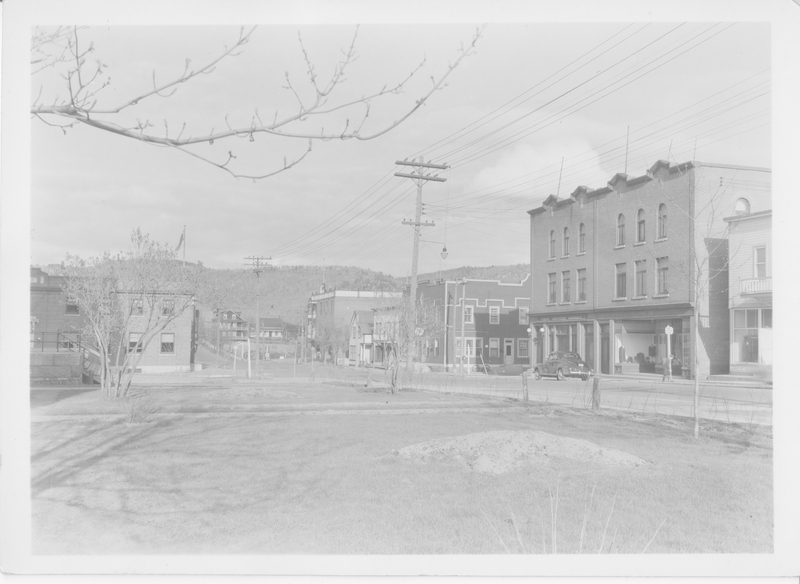 If so, these photos would date back to 1917. 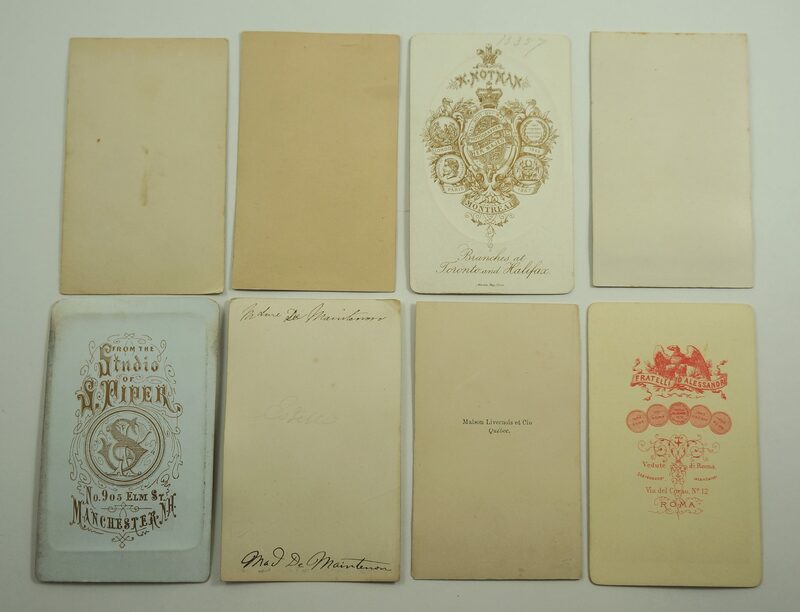 Unfortunately they are a bit damaged by moisture, but they’re not too far gone and would look great in a frame. Otherwise, I have lots of catching up to do. 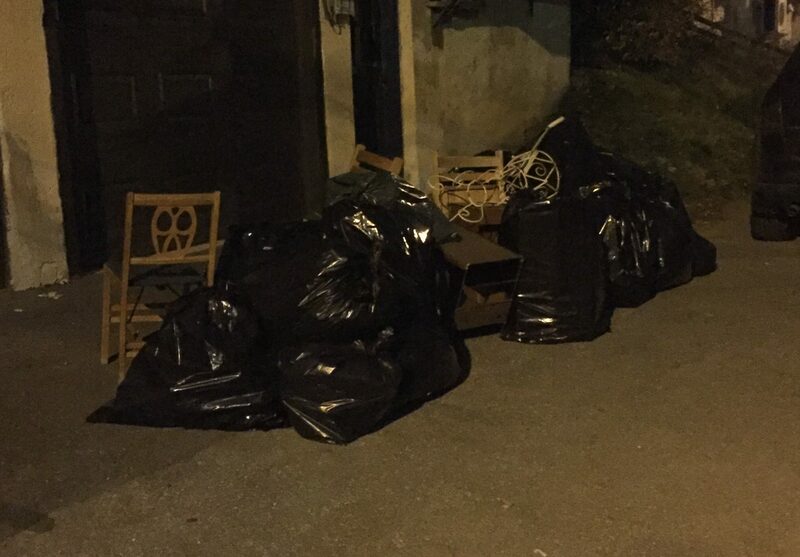 It’s been a great year for garbage, and some of my best finds haven’t even made the blog yet! I’m finally ready to do some blogging after catching up on my picture taking! This spot in Côte Saint-Luc provided some interesting and valuable finds over the span of a few weeks in September & October. 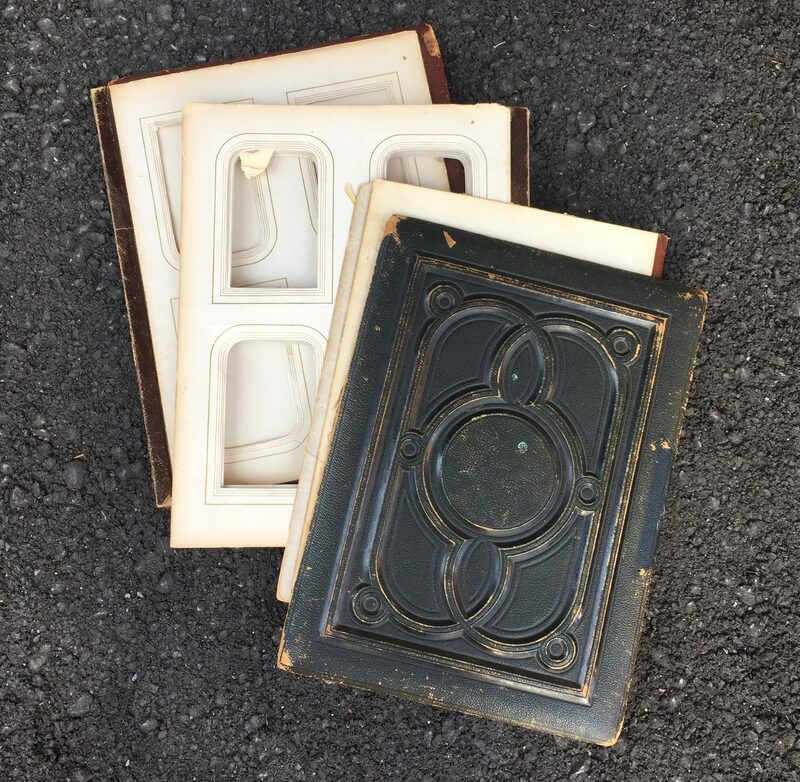 The quality junk later turned to renovation materials, and I haven’t found anything of interest there since. That first week was a good one, providing lots of great finds that made me excited to go back for future garbage days. 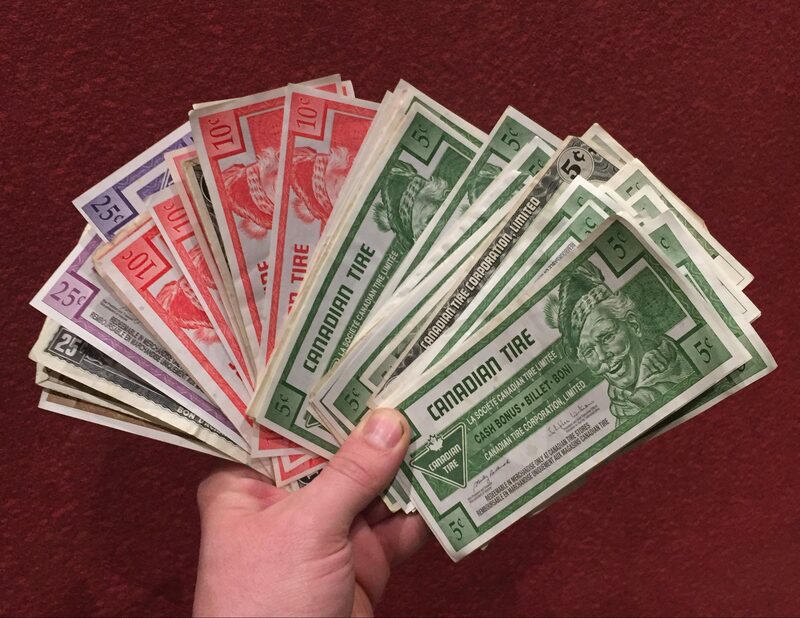 I always love finding silver – its presence in the trash signifies that the tossers either aren’t paying attention, don’t know what things are worth, or just don’t care. These pieces are Mexican silver, likely made in the 50s or 60s. 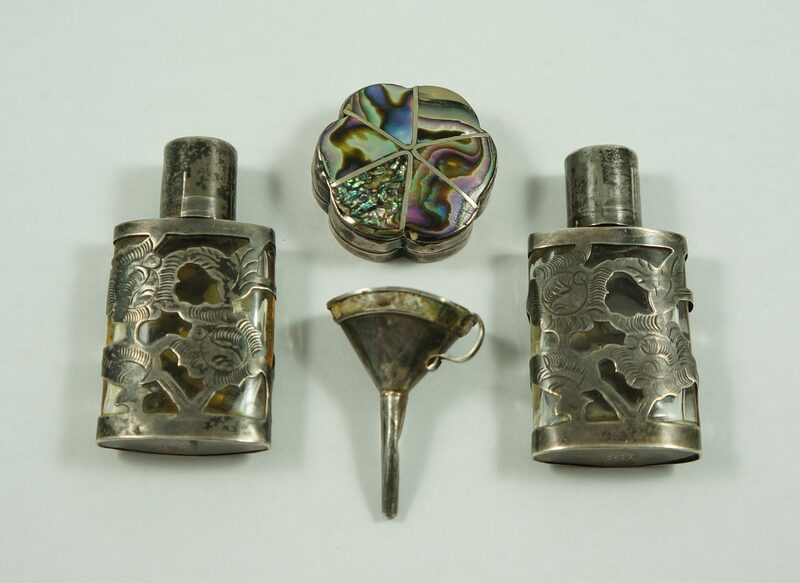 The pillbox, which was decorated with abalone sold on eBay for 40$ (the customer seemed pleased with their purchase), while the miniature perfume bottles and funnel are currently on sale for 55$. 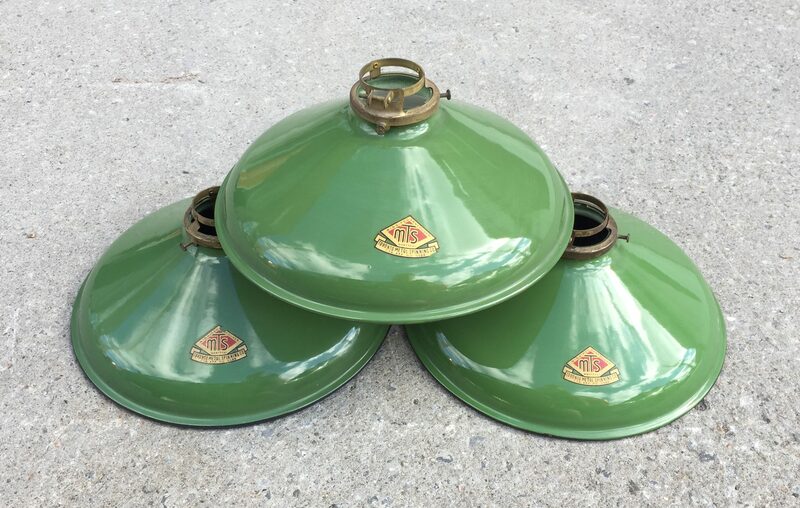 I pulled these great green enamel industrial lampshades out a bag one night. 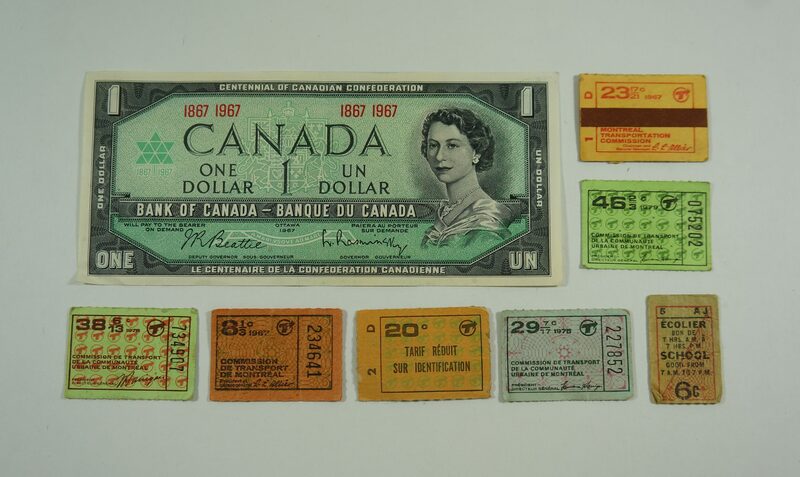 They sold at auction for 40$ – I would have made more selling them on my own, but so it goes. I still have plenty of stuff that I don’t have time to list, so it’s inevitable that I’ll have to choose the fast nickle over the slow dime. 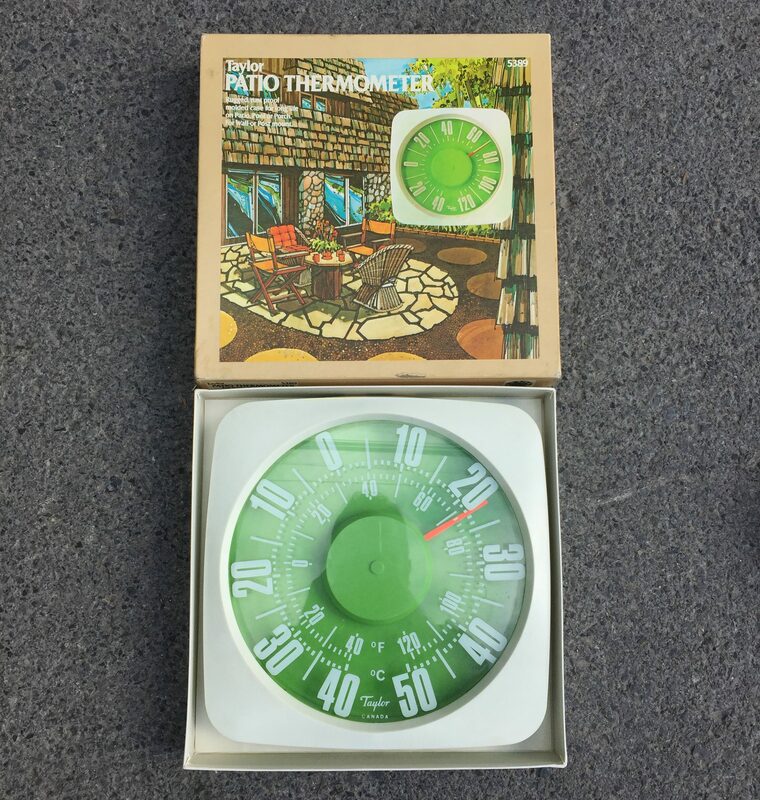 I found a couple of these vintage 70s outdoor thermometers, which appeared to be new in box. I love the green background on these! 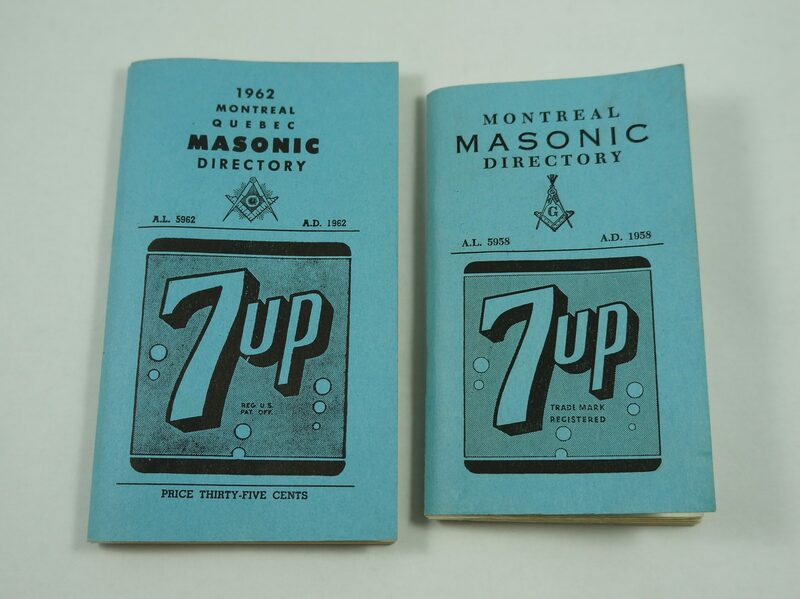 These 1960s Montreal Masonic directory books were certainly unusual. 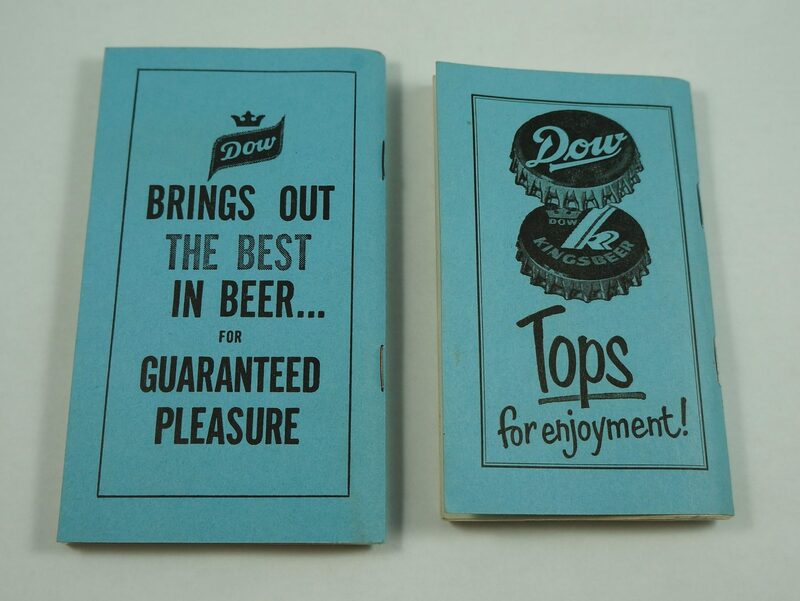 Both had ads for 7-Up on the front and Dow (beer) on the back. 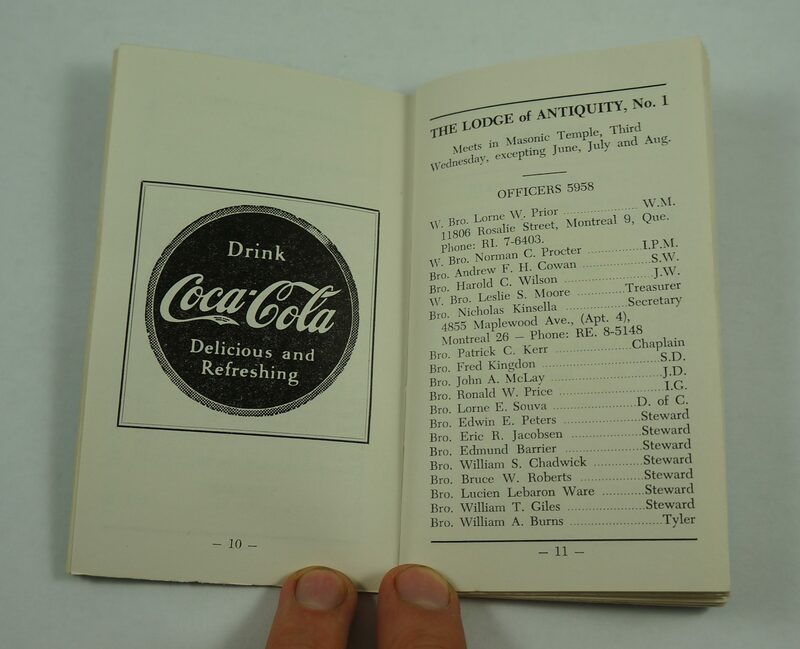 Inside were more ads, including some from Coca-Cola. 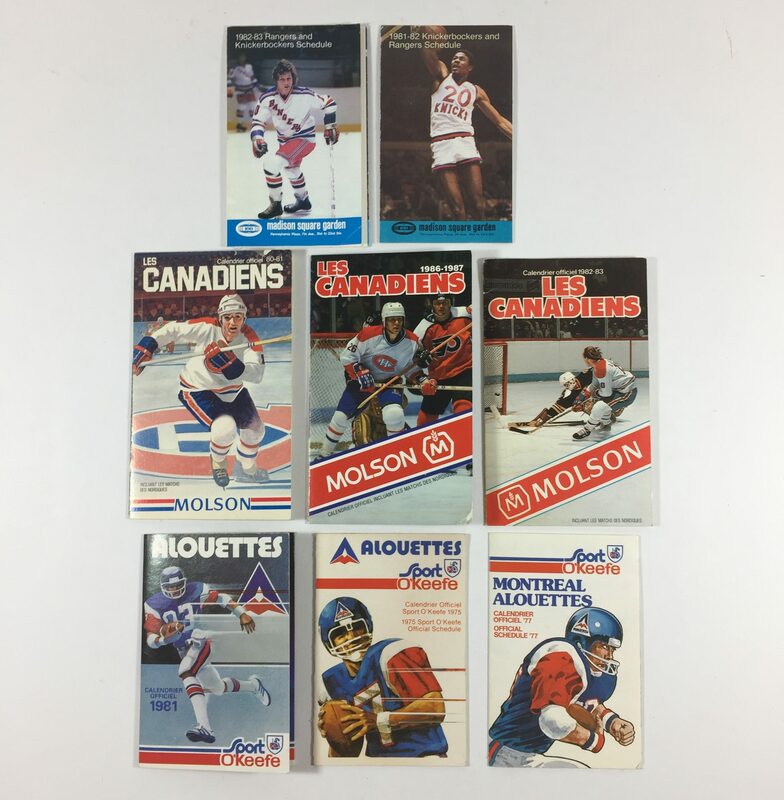 I’m not sure what they’re worth, but I’m sure they’ll be of interest to a collector. 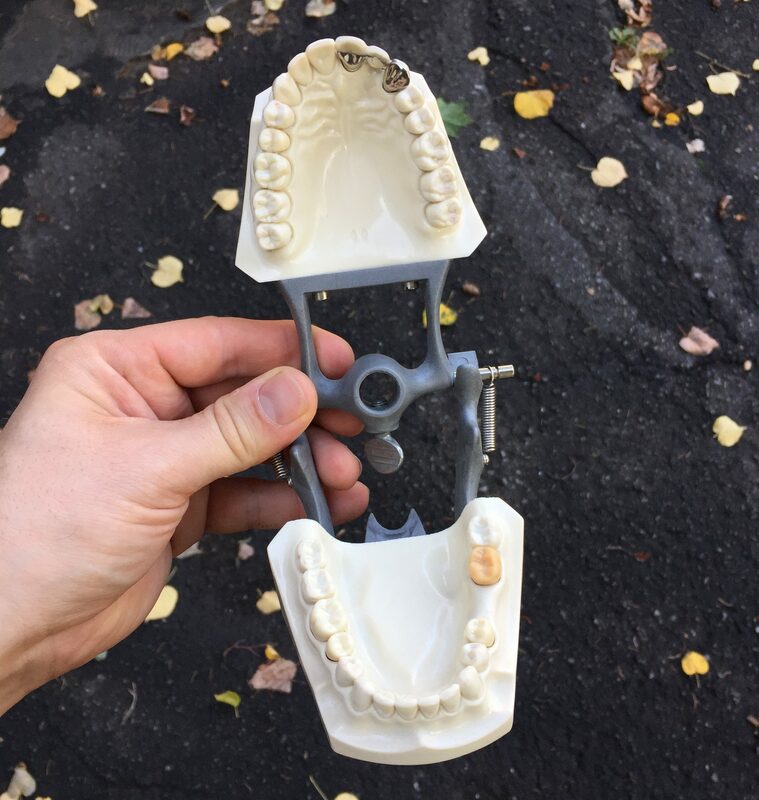 I found my first model teeth here. 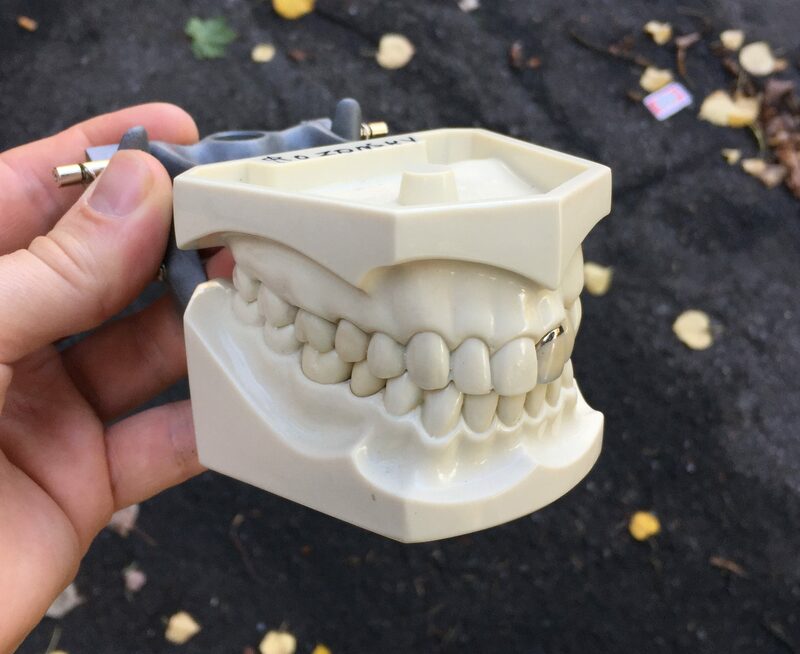 They were made by Columbia Dentoform, likely in the 60s and I’d guess that they were used to educate potential dentists. Mine has a dental bridge (made using some kind of silver metal) and well as a tooth cap. These sell for around 40-50$, but I love weird stuff like this and will likely keep it as a conversation piece. I also found a bunch of plaster dental moulds / impressions, but those are more common and not worth much. On the left is a ring of sample toothbrushes. I sense a theme? 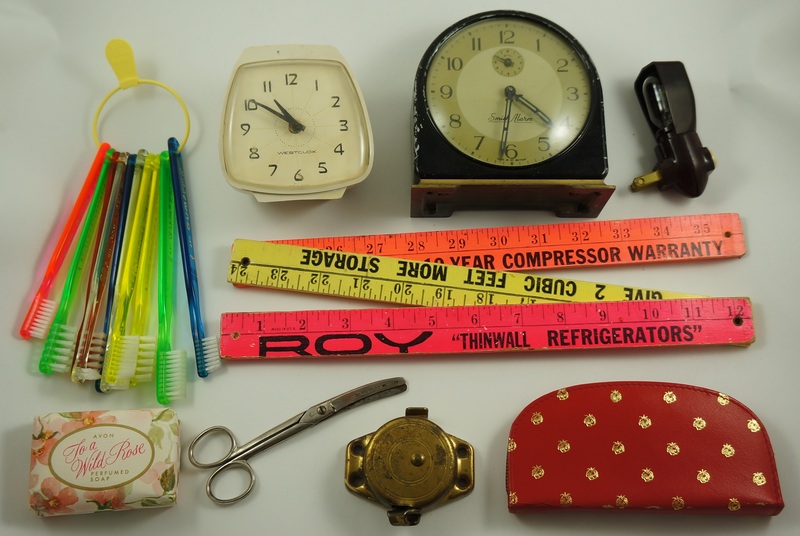 I also found a few old clocks, a neat promotional ruler, an old bar of Avon soap, and a nice makeup kit. 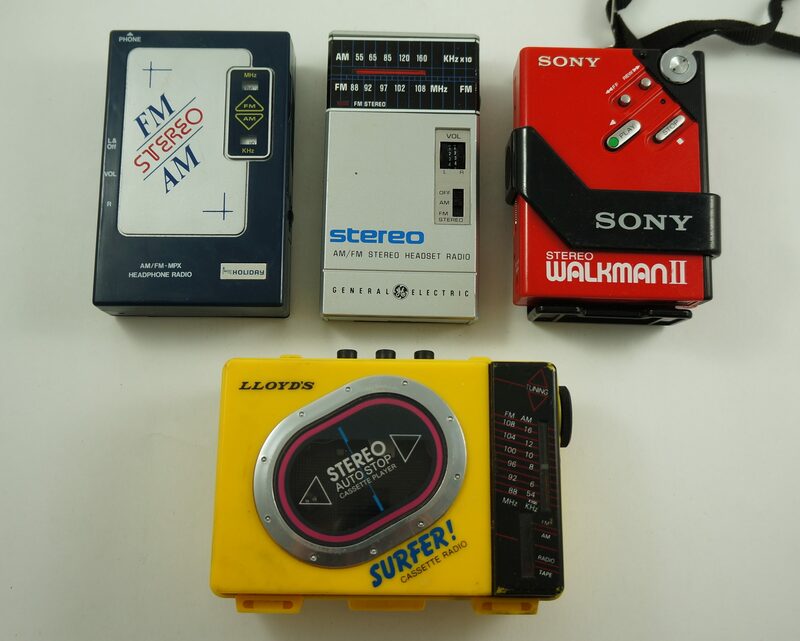 I saved four portable radios / Walkmans, the most valuable of which is the Sony Walkman II at top right. I haven’t tested it yet, but even if it doesn’t work it should sell for around 50$. Maybe more, as red seems to be a less common color for that model. Walkmans can be surprisingly collectible. FYI, from my experience Sonys are the main ones to look out for. I love finding junk boxes. This one wasn’t super exciting, but there’s definitely some yard saleable stuff here. To the right of the Swiss coin is a tooth with some gold in it. I don’t think there’s much in there, but I’ll leave that for my jeweler to figure out. 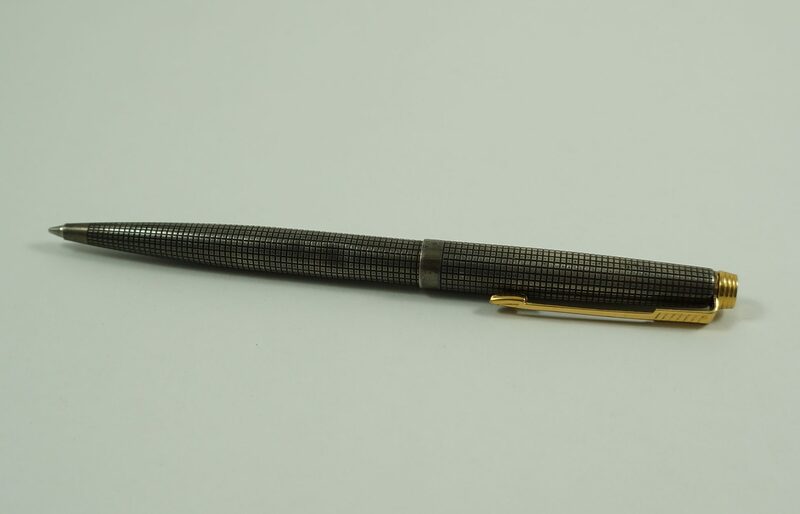 I found a nice pen, a Parker 75 ballpoint pen in sterling silver. It sold quickly for 75$ on eBay. 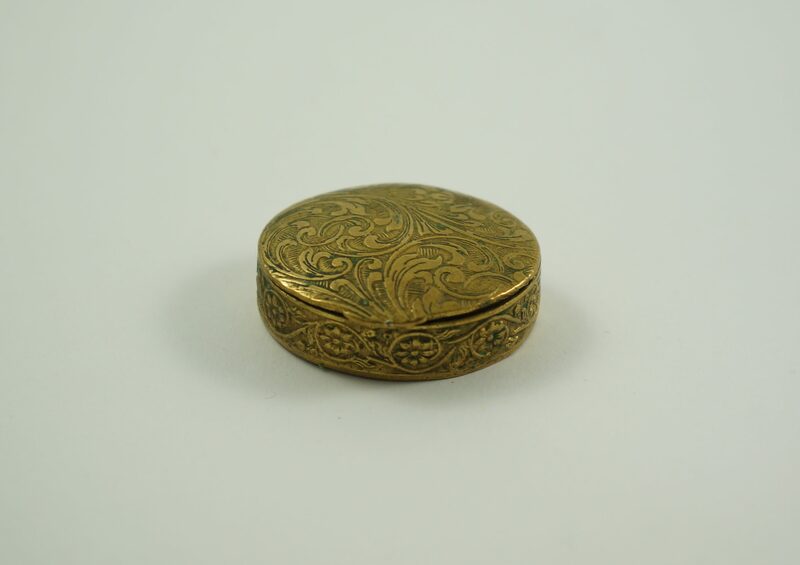 I also saved a cute brass pill box. On the inside is marked “Made in Italy”. 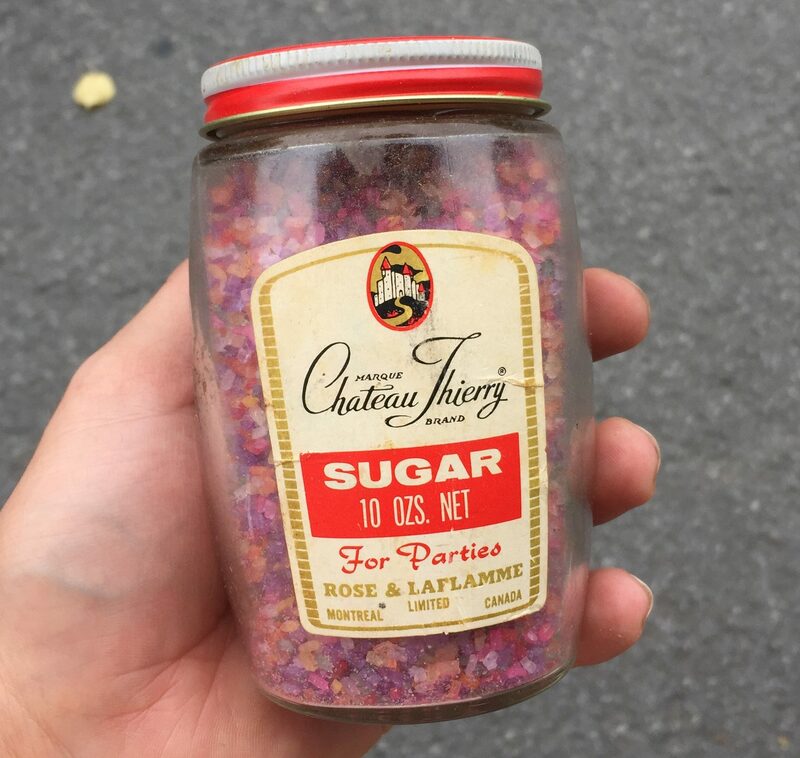 This vintage party sugar was a fun find. 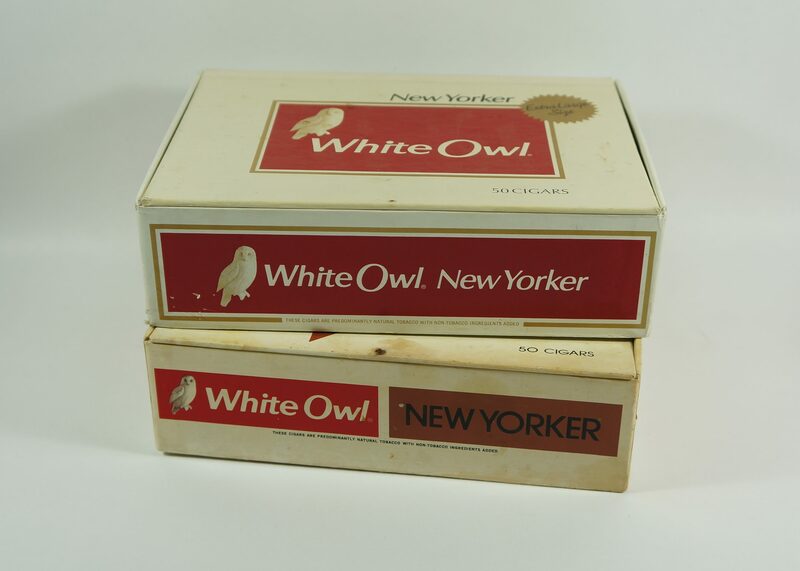 I’m a sucker for old food & packaging, so I think I’ll keep this in my personal collection. 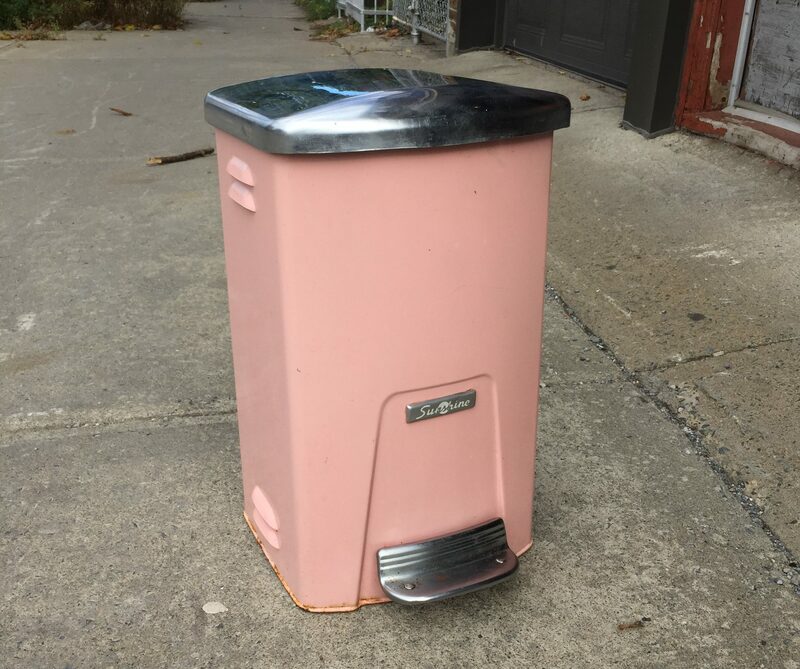 Let’s finish with this cute vintage trash can that dates back to the late 1940s. 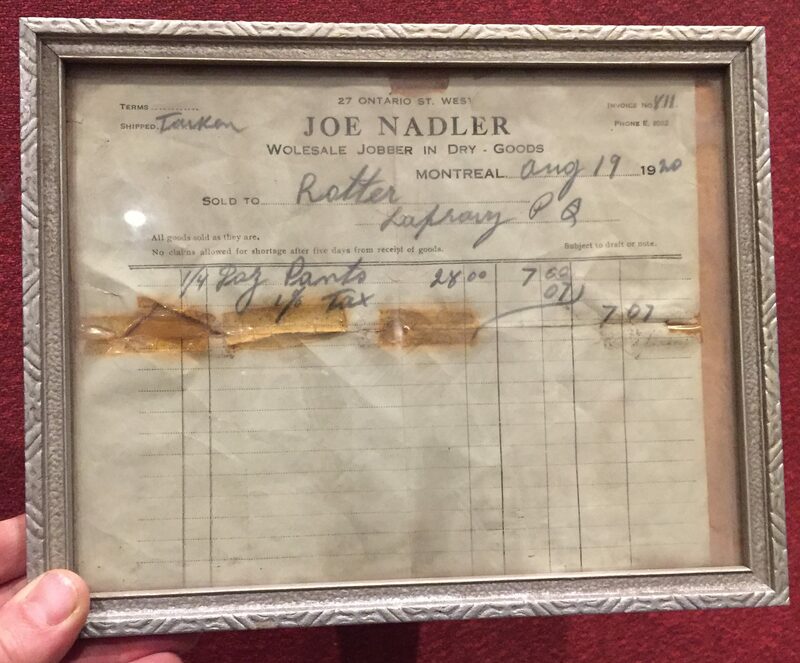 It was in very nice condition for its age and I figured it would do well at the auction house. However, I wasn’t really expecting it to sell for 85$! I guess these old bins are hard to come by, and thinking about it now this was definitely the nicest one I’ve found over my years of picking. Winter is definitely here but the finds haven’t slowed much. I’ll share some October trash from Côte-des-Neiges in my next post, and then I’ll get to sharing some more recent junk.